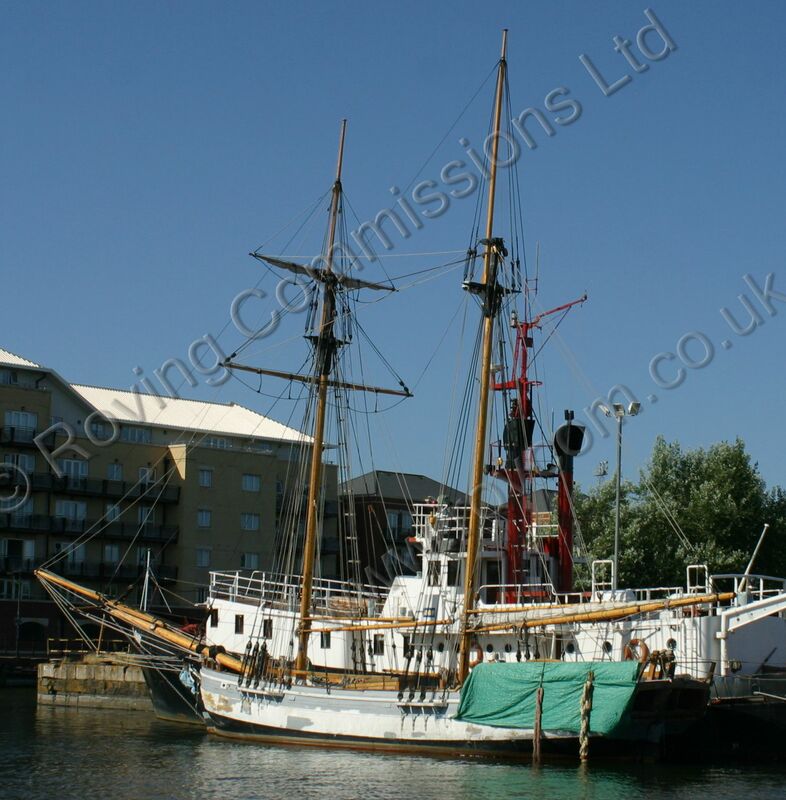 A replica of an 18th century Baltic Armed Packet Schooner used for mail and customs service and as a tender carrying messages between naval warships and squadrons. 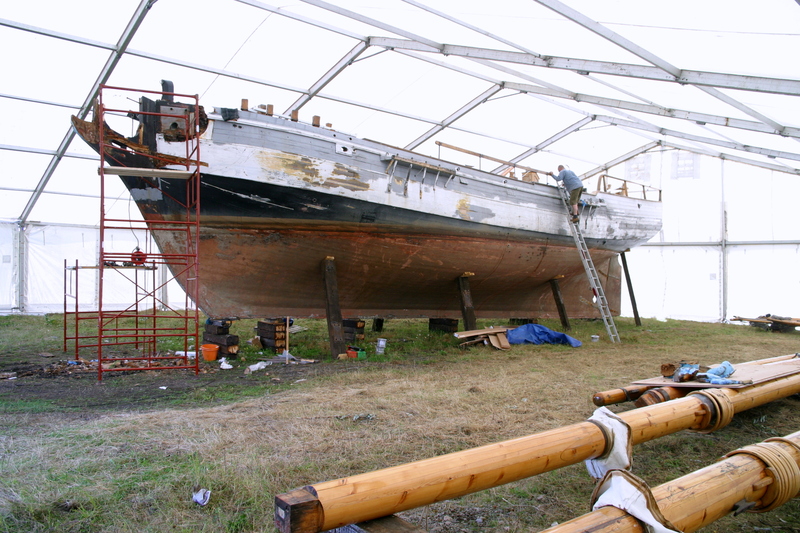 Built at Grumant shipyard in Petrozavodsk, Russia in the mid 1990s, Elena was part of the project of Andrey Ahkmeton a naval architect from St Petersburg who admired the lines of these vessels and their remarkable seaworthiness. 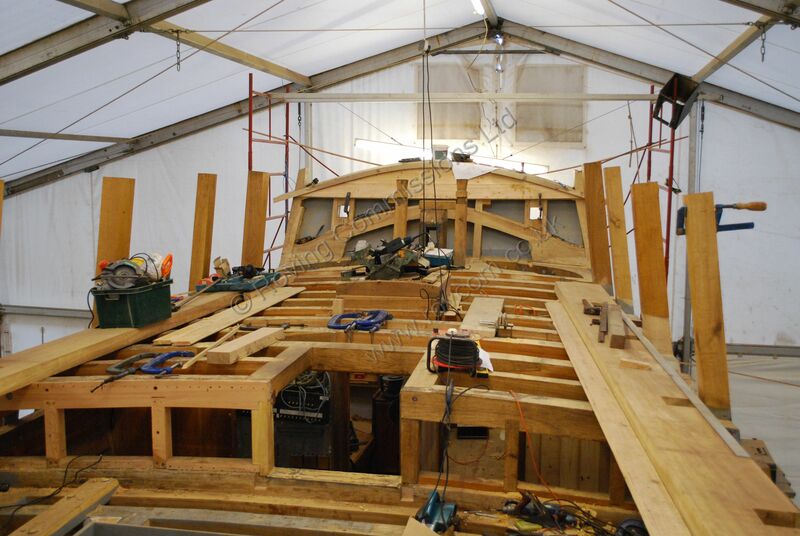 The project created five of these vessels which were built by naval shipyard apprentices. 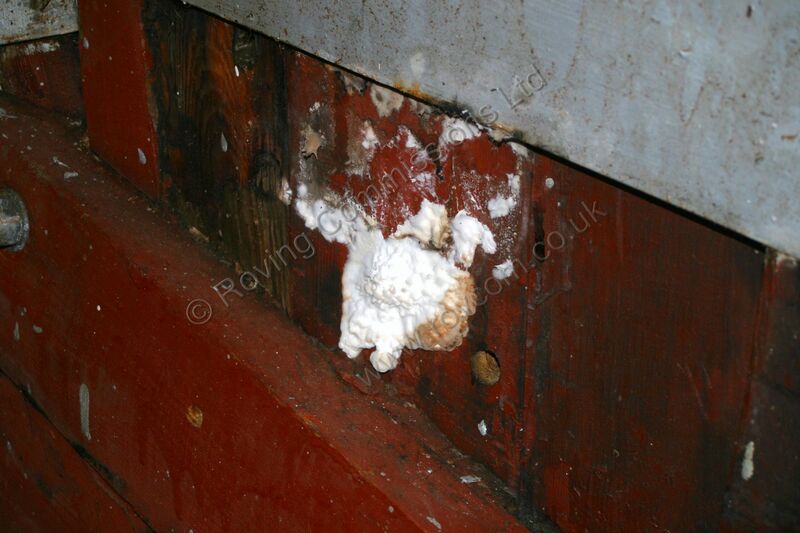 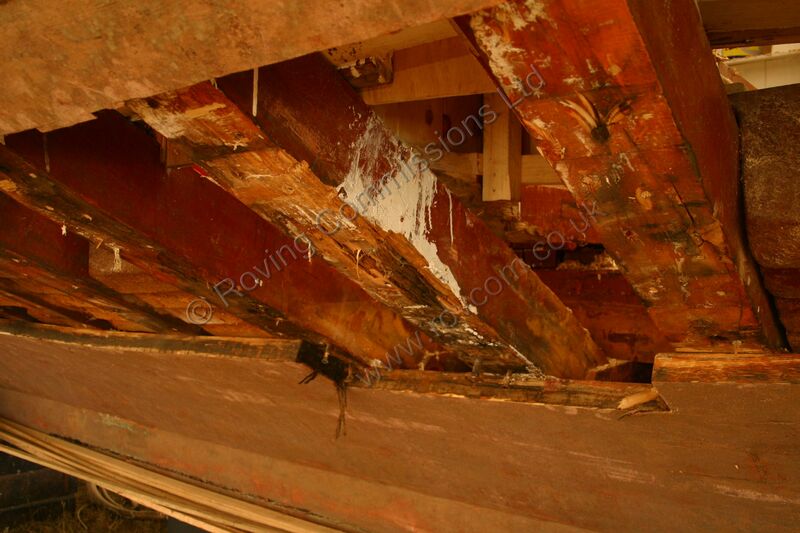 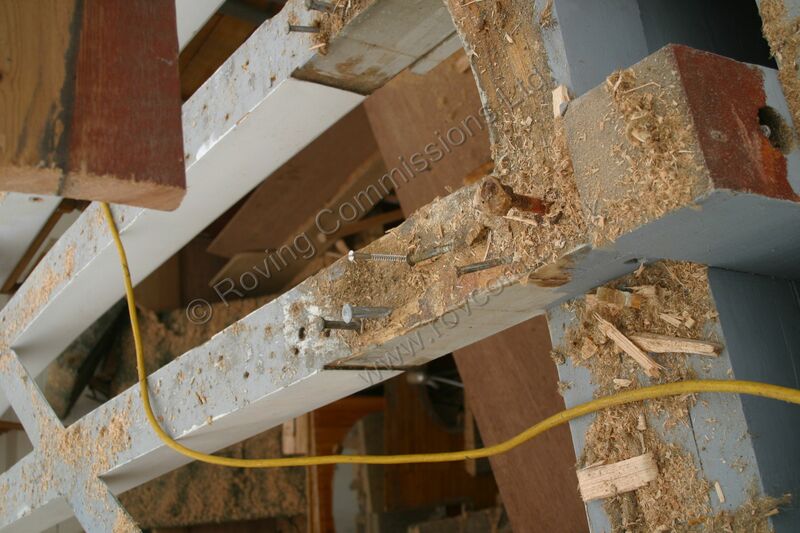 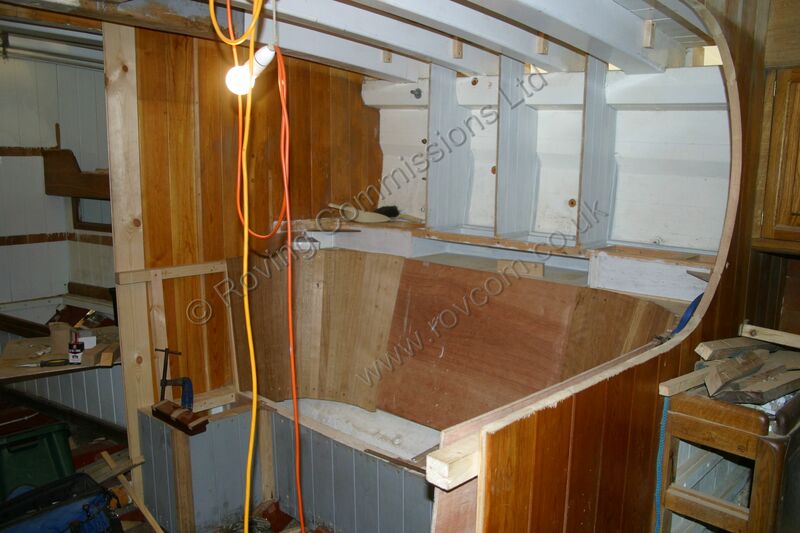 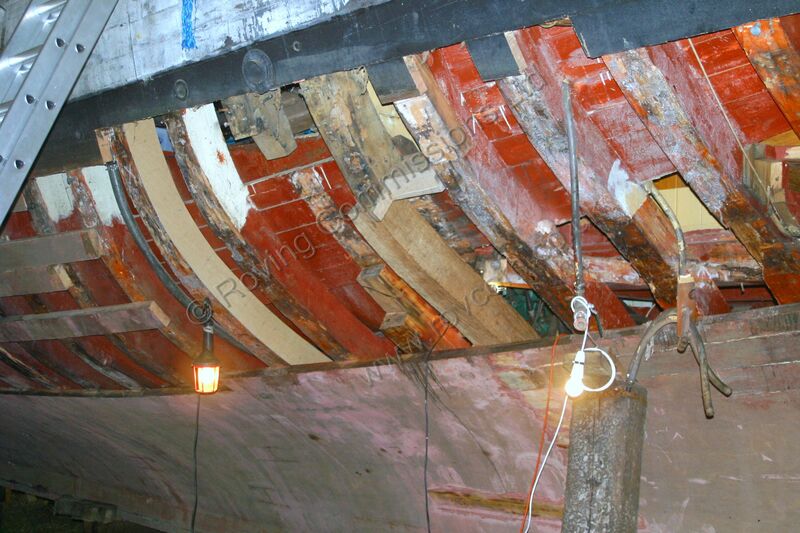 Although, for the most part, technically well built, it is unfortunate that the planking and hull framing is of laminated Russian carelia or scots pine which naturally carries a considerable mass of dry rot spores. 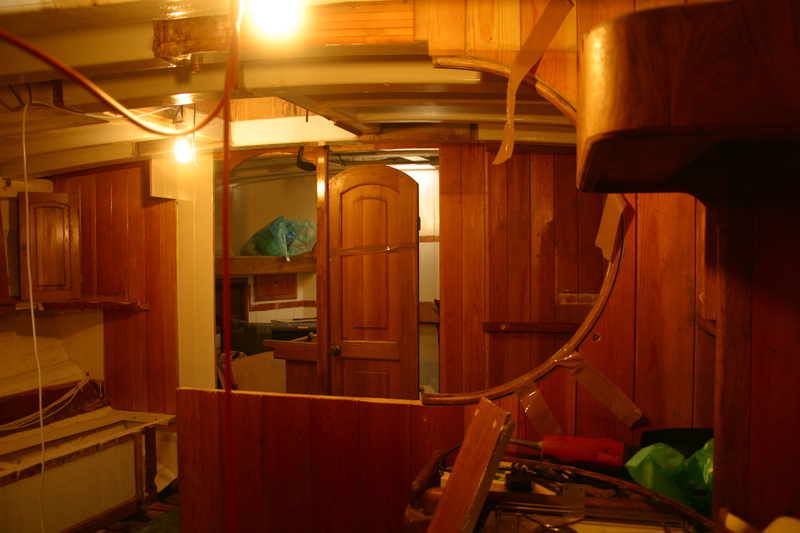 This, together with being left in Finland for three winters followed by a further recent period of inactivity, has taken its toll. 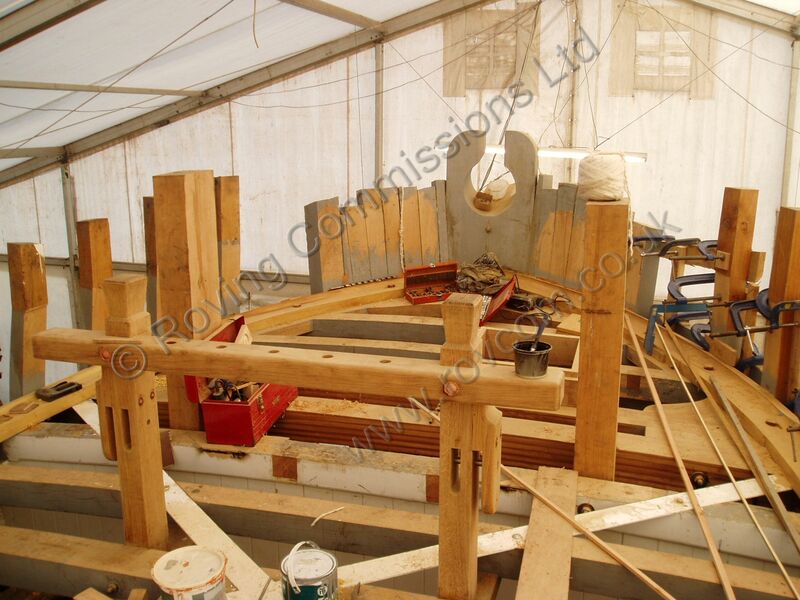 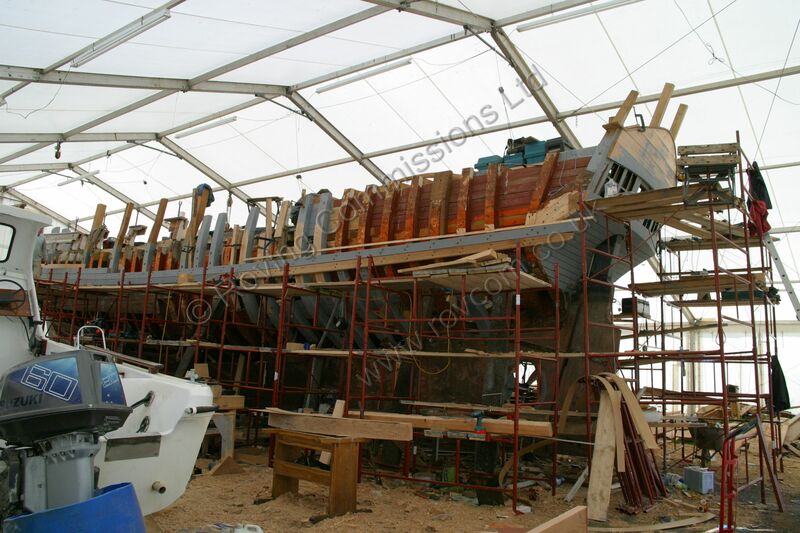 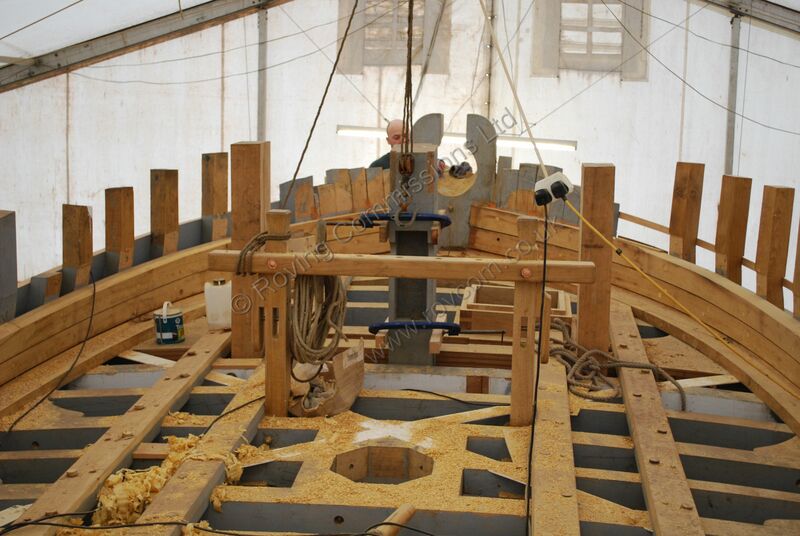 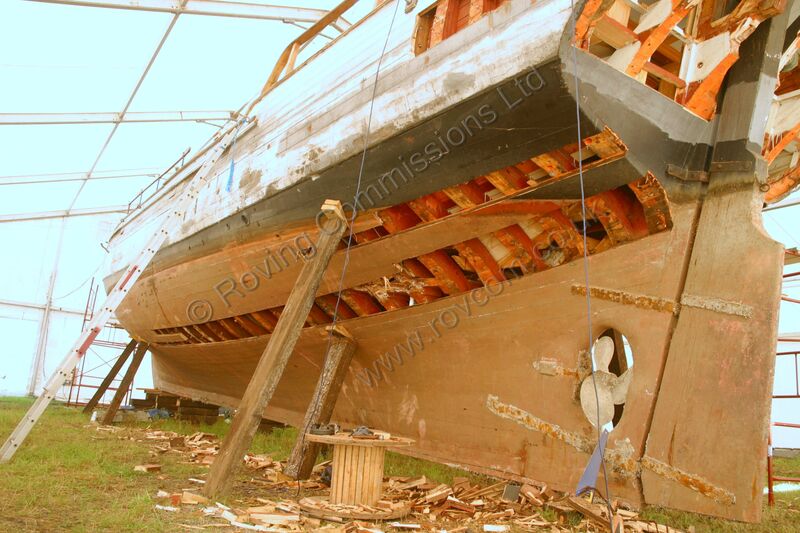 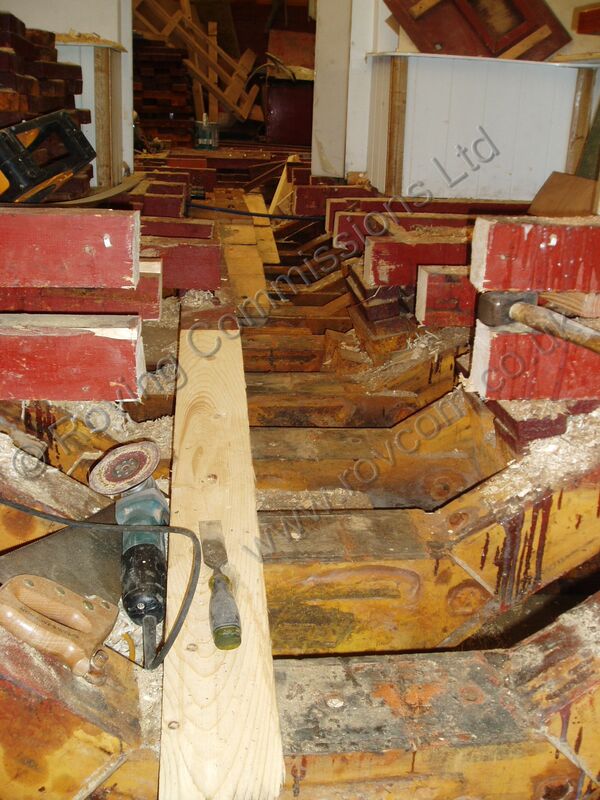 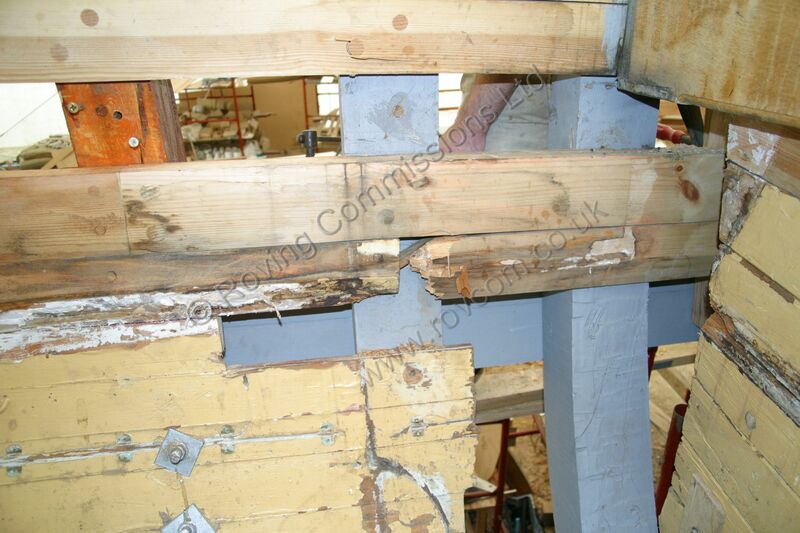 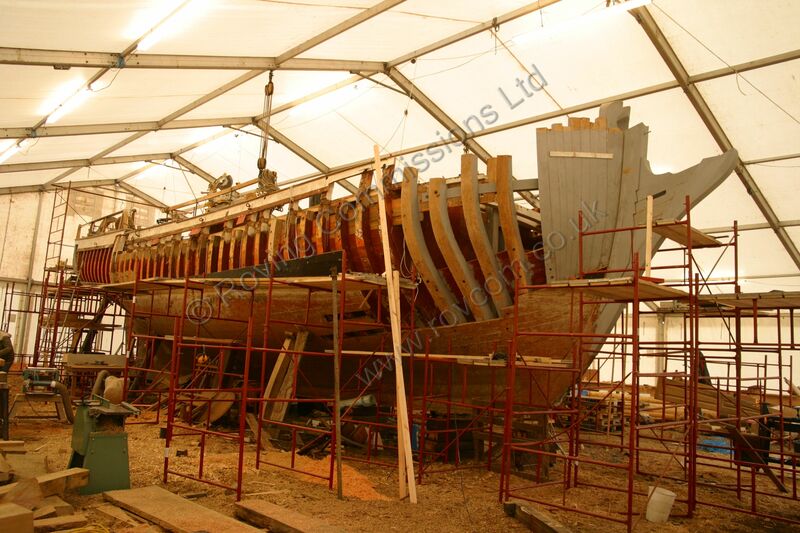 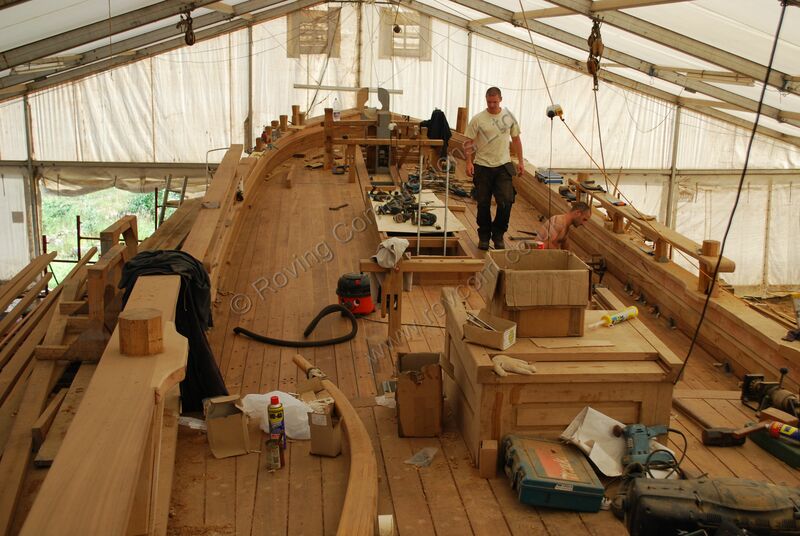 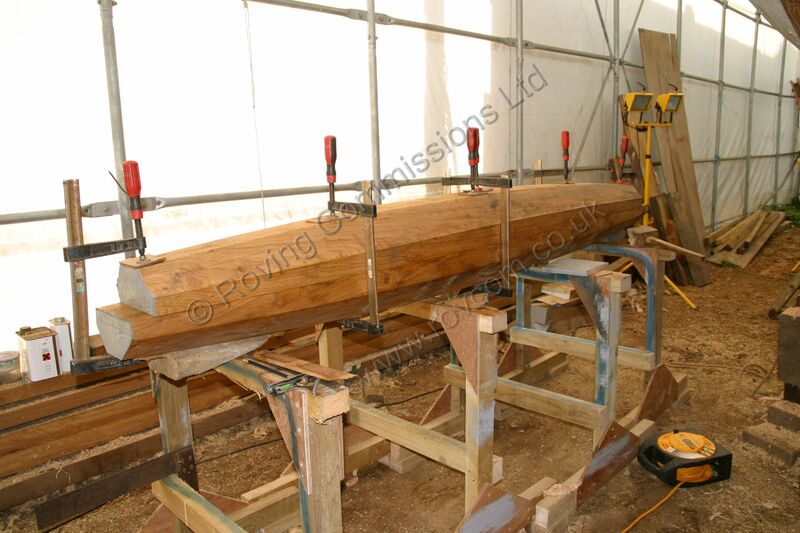 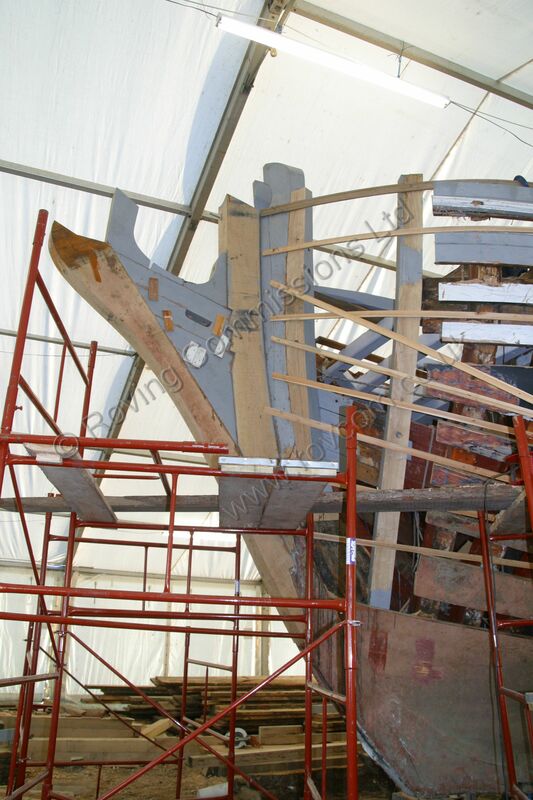 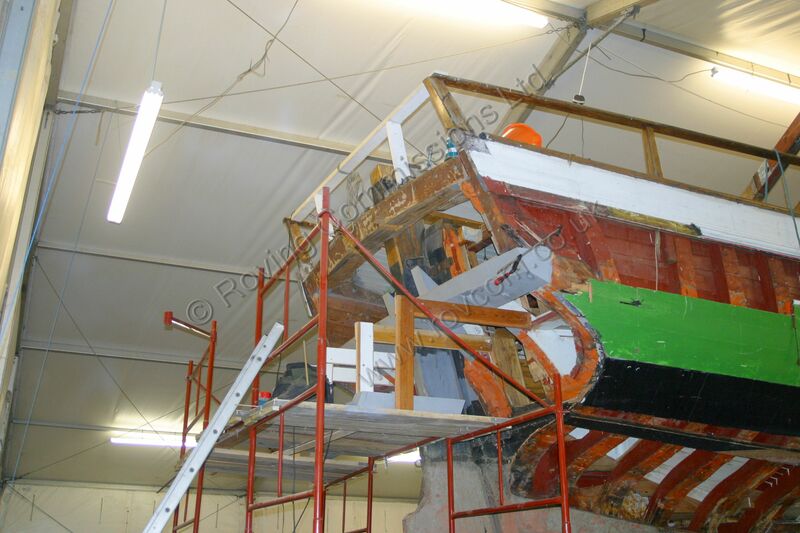 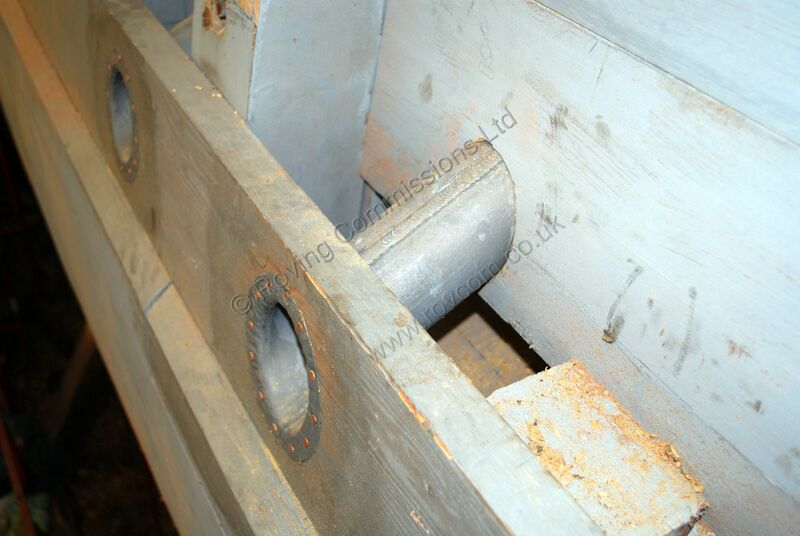 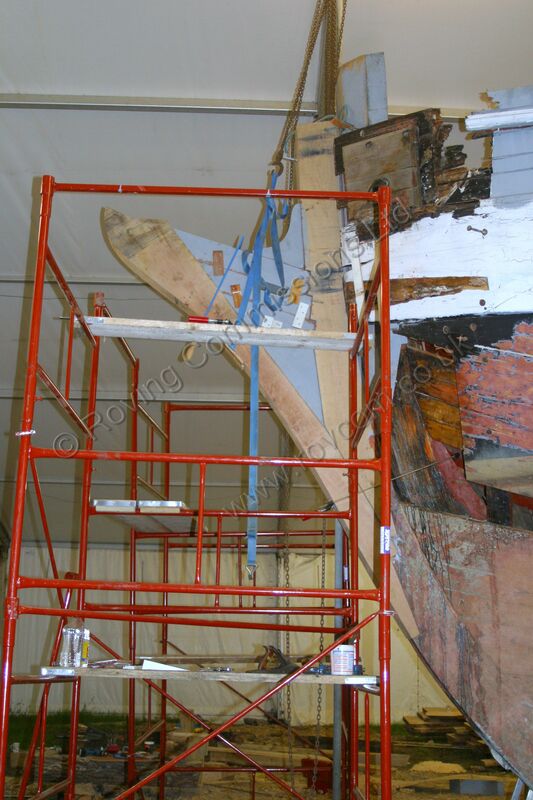 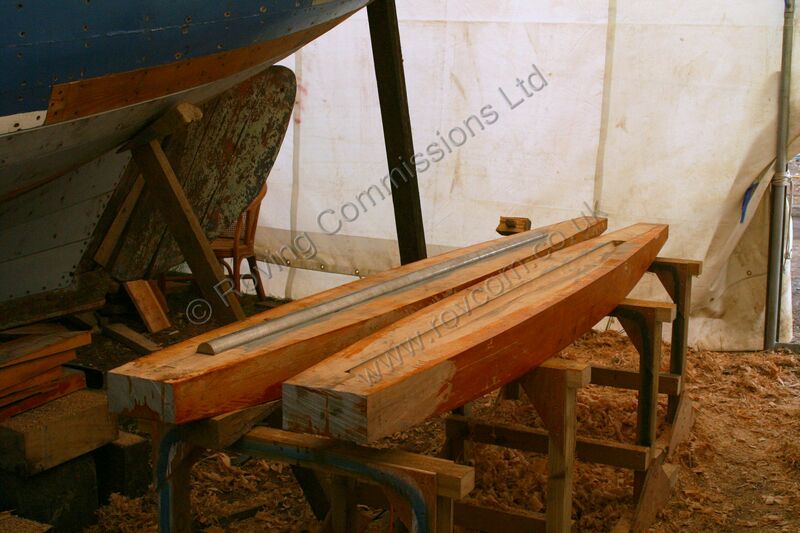 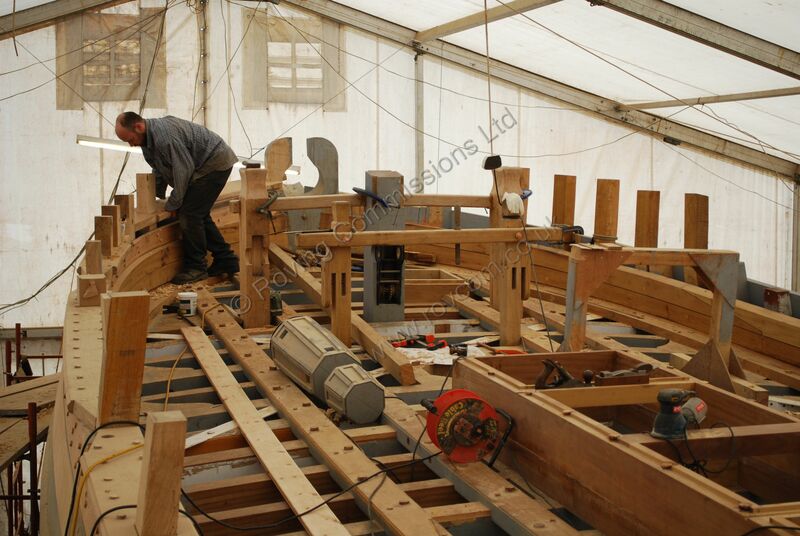 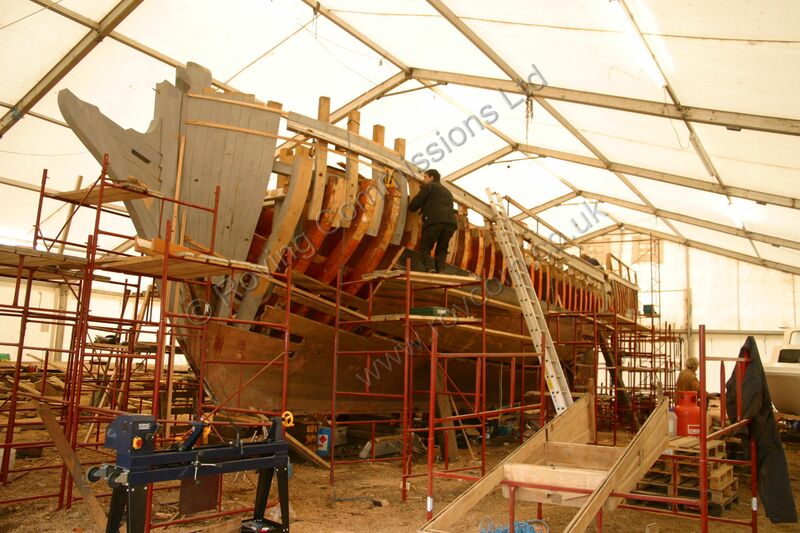 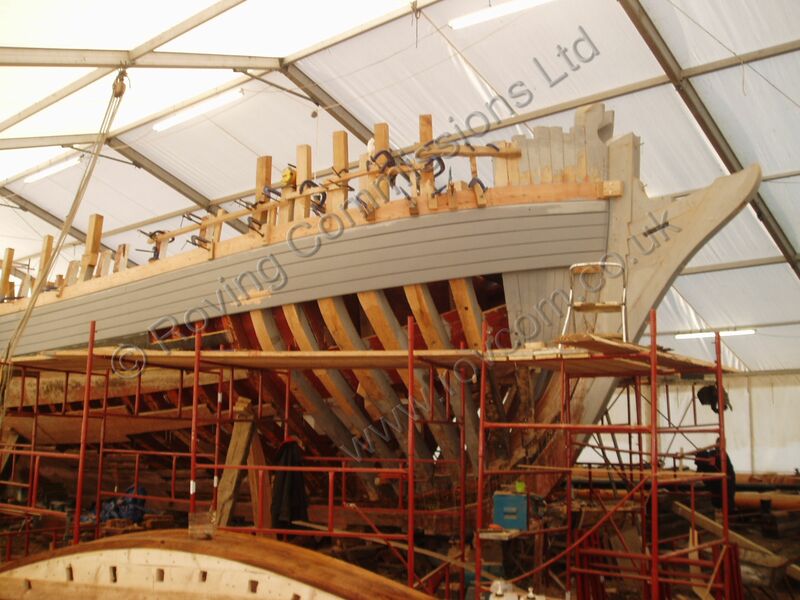 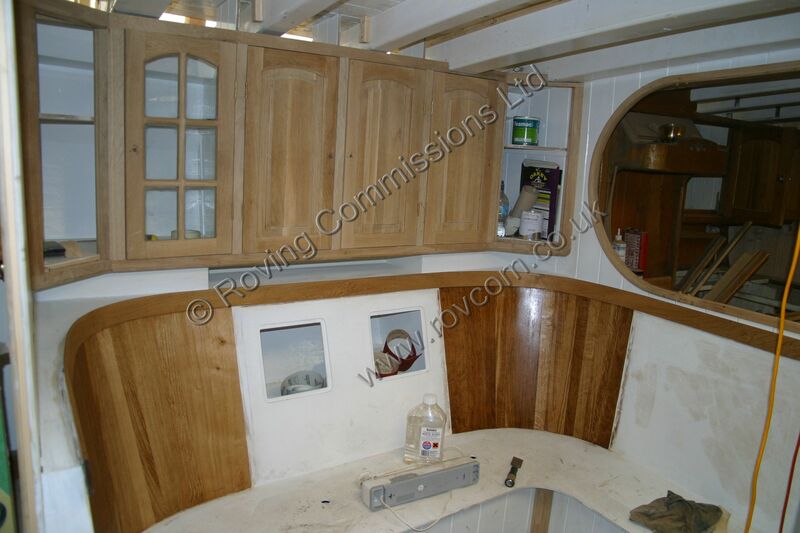 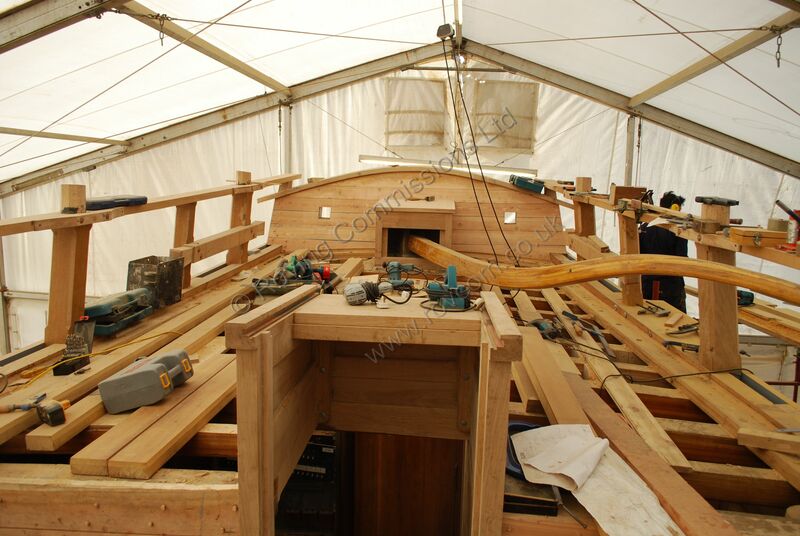 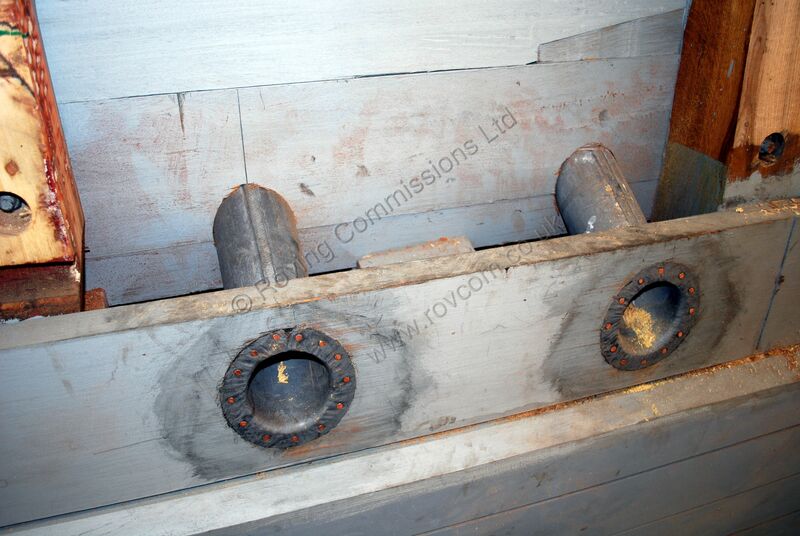 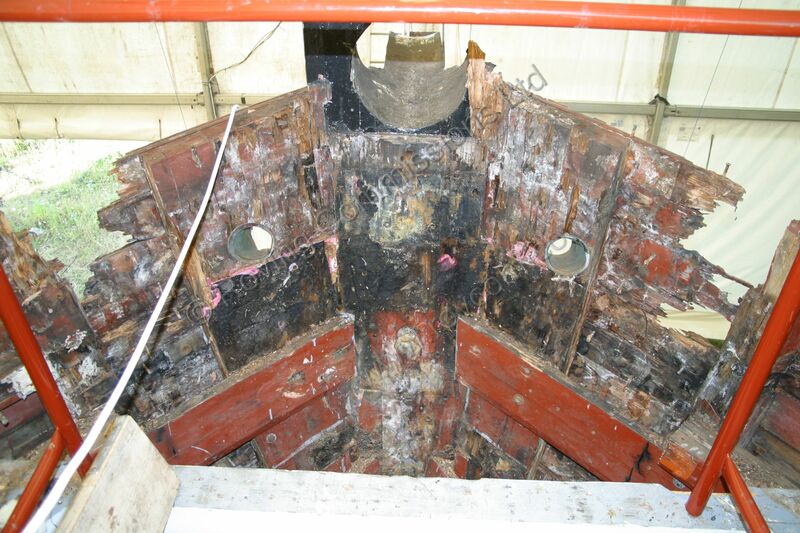 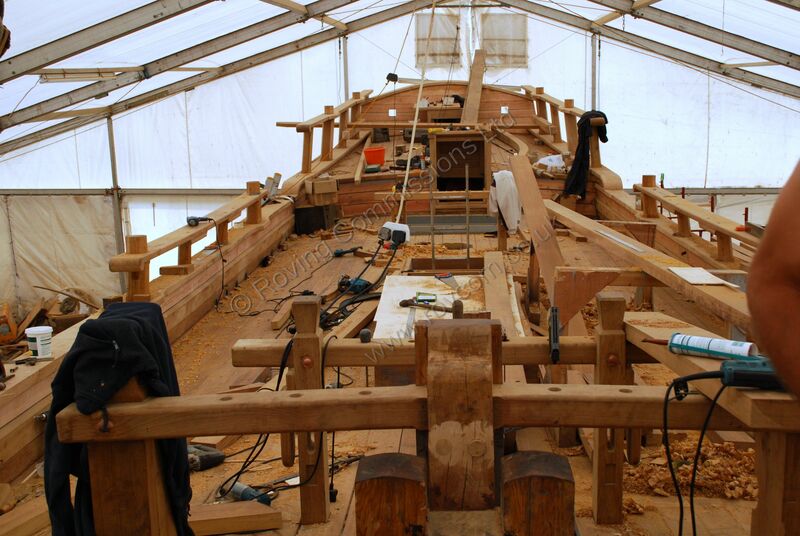 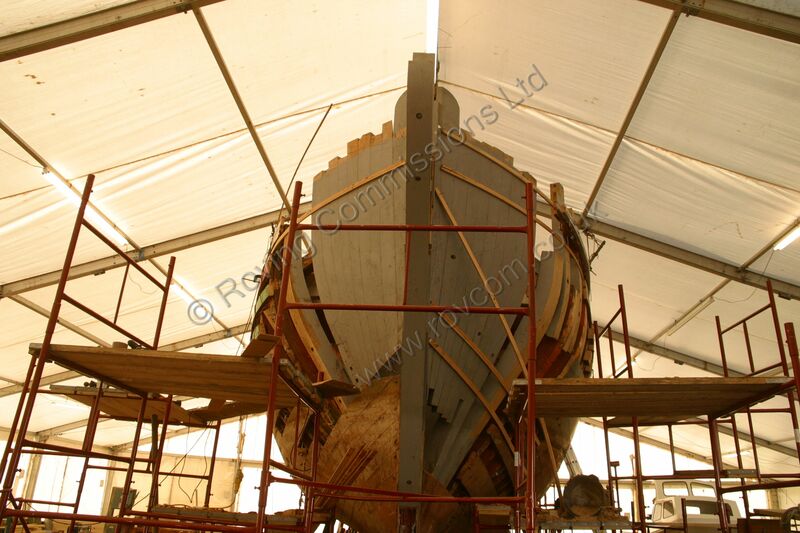 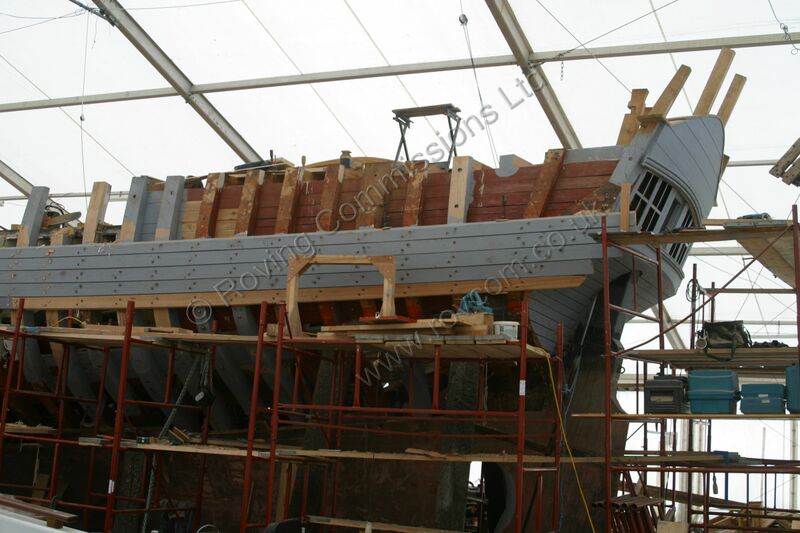 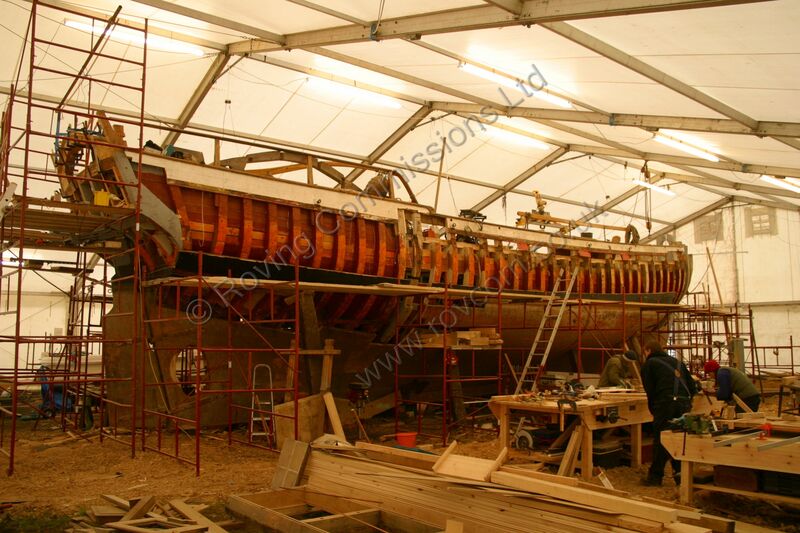 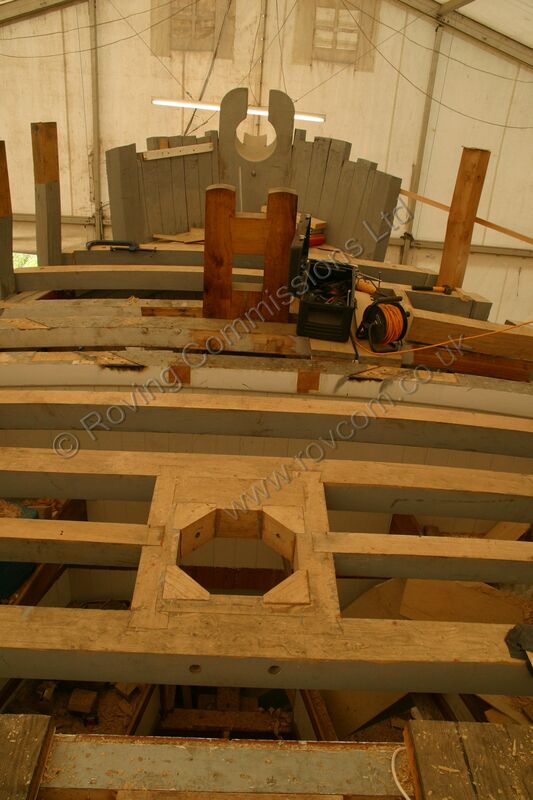 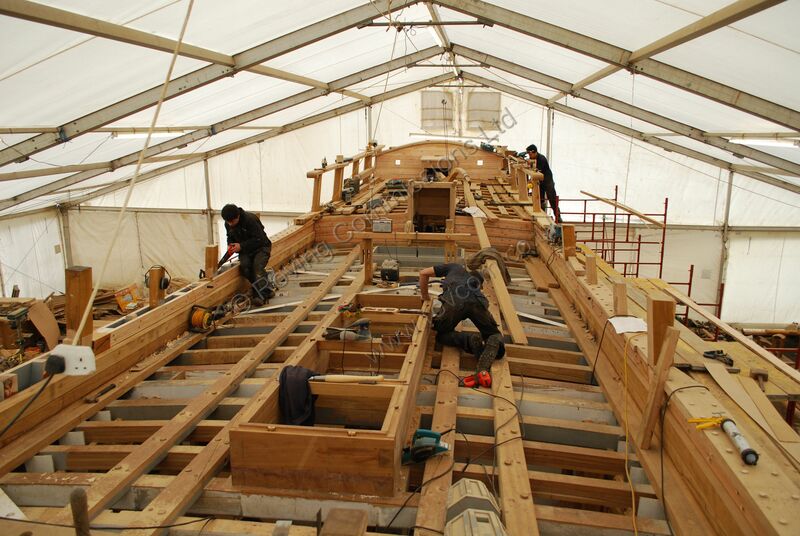 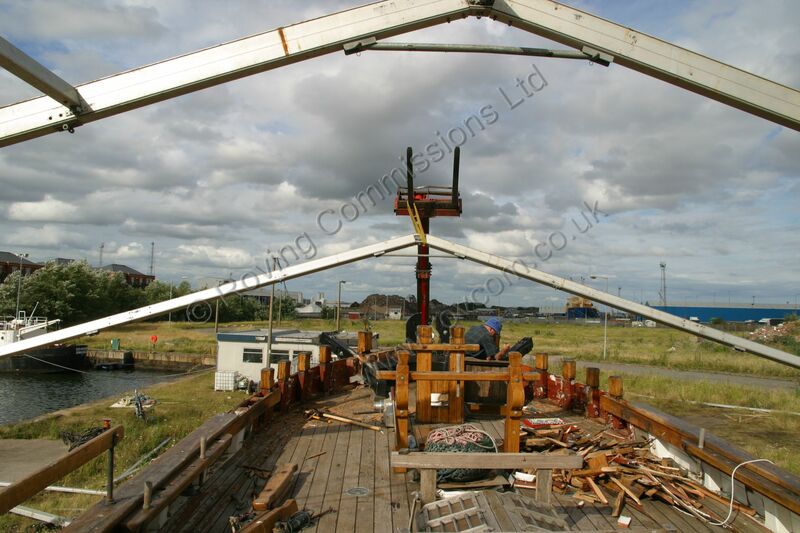 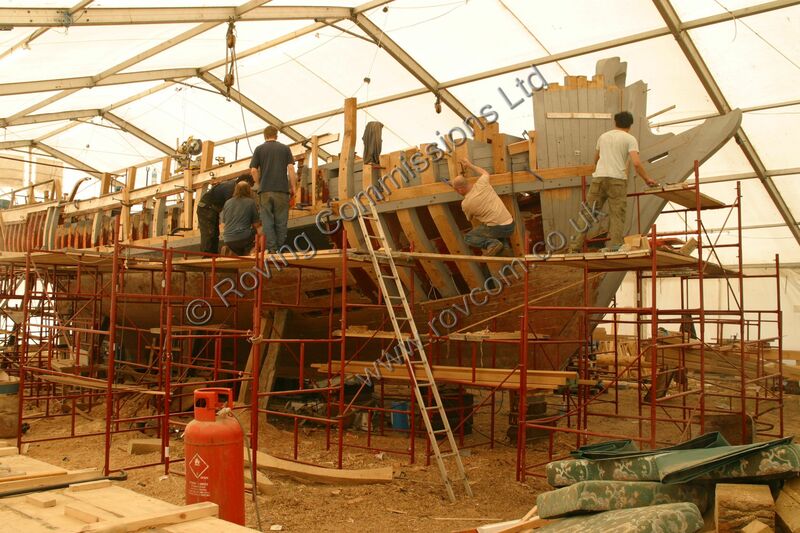 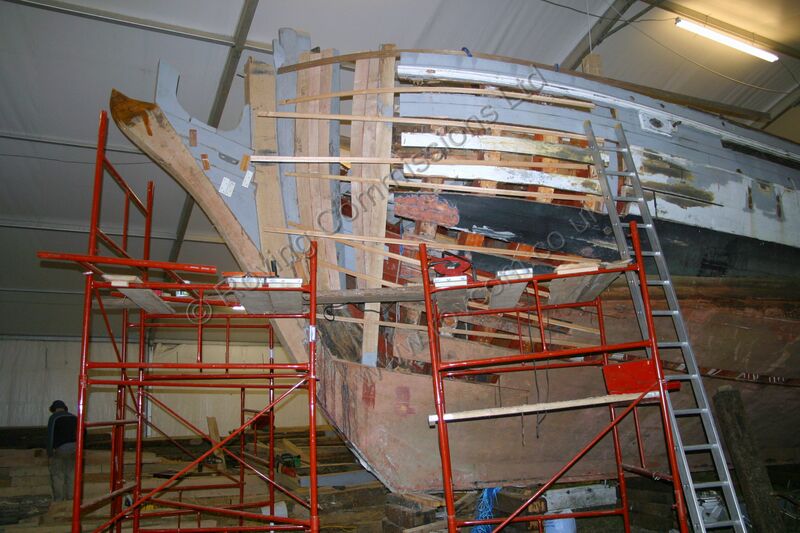 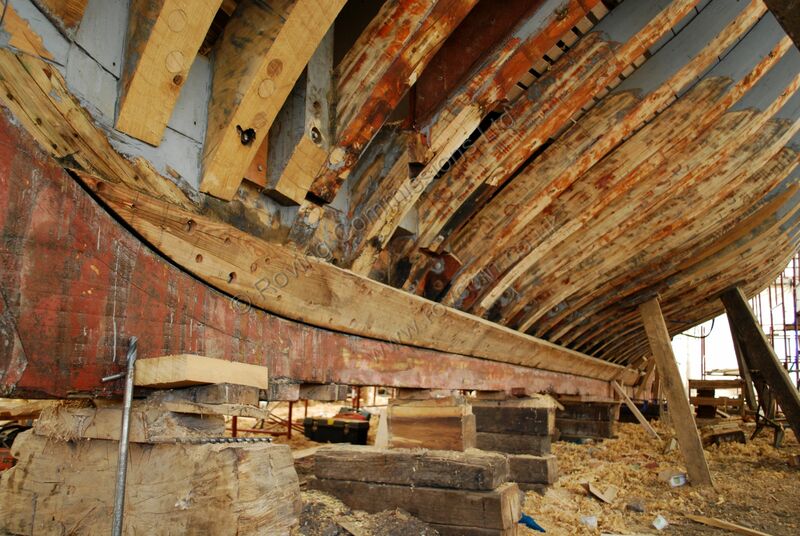 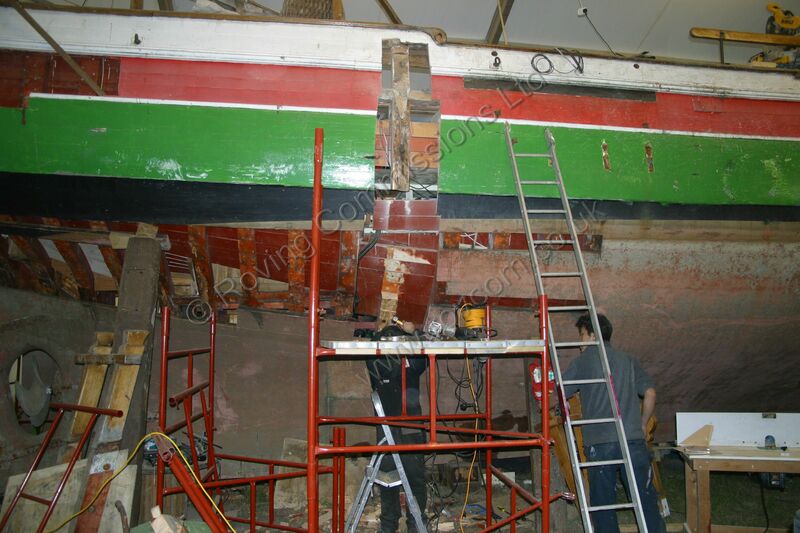 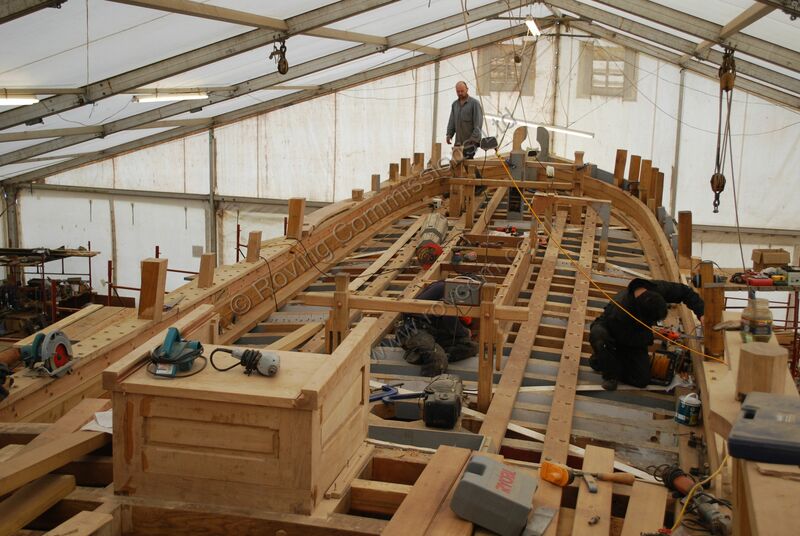 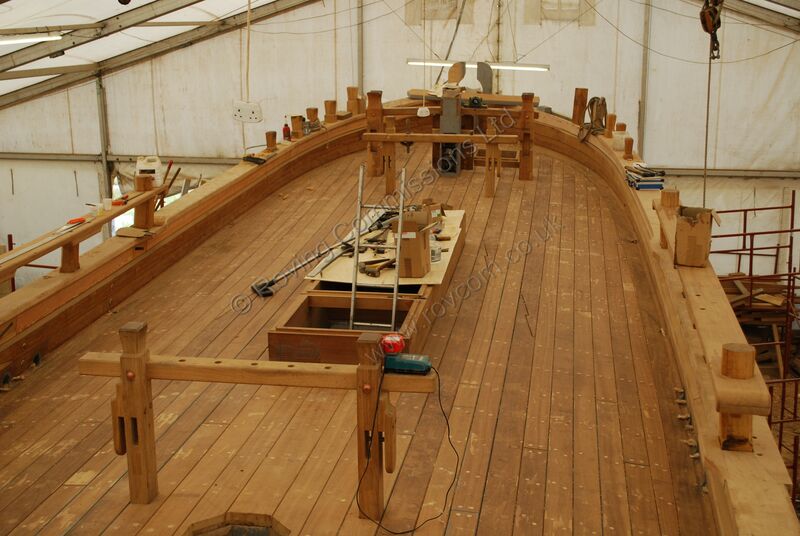 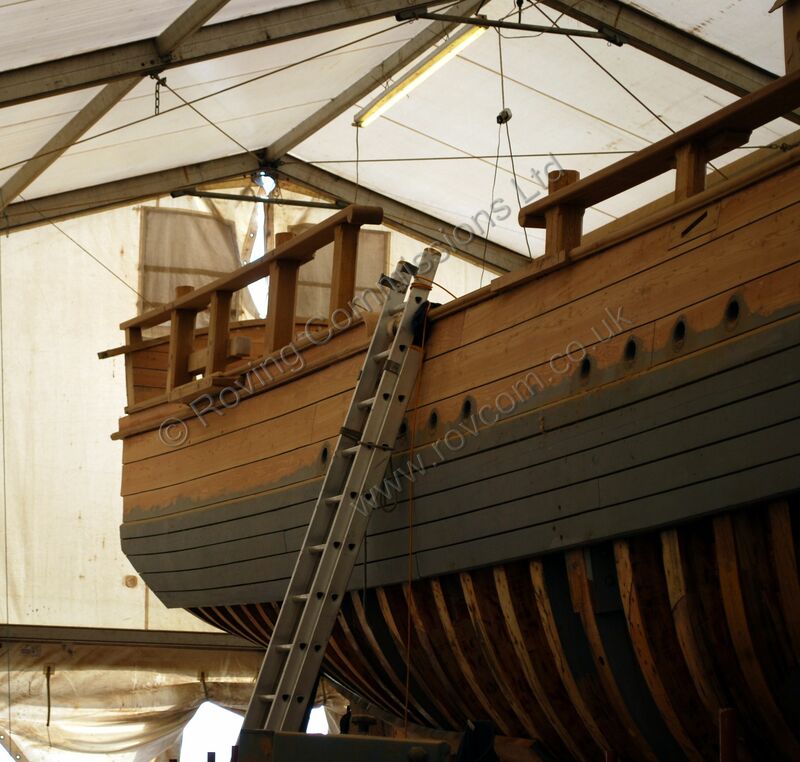 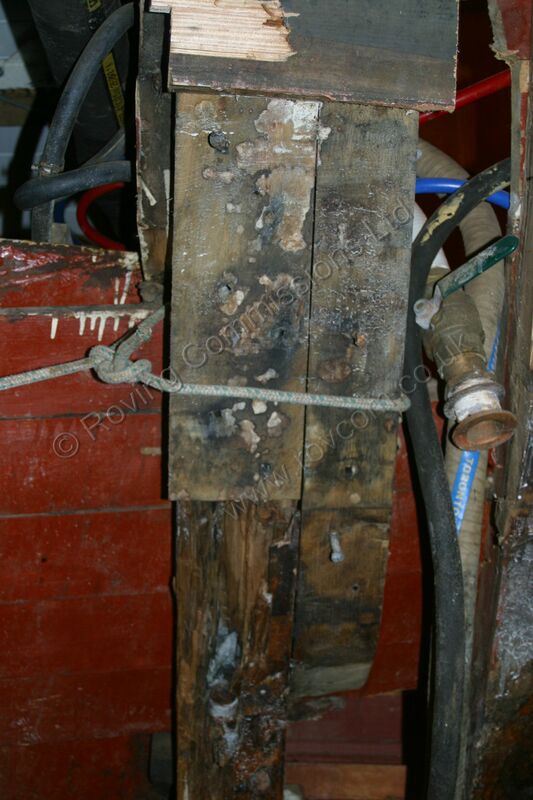 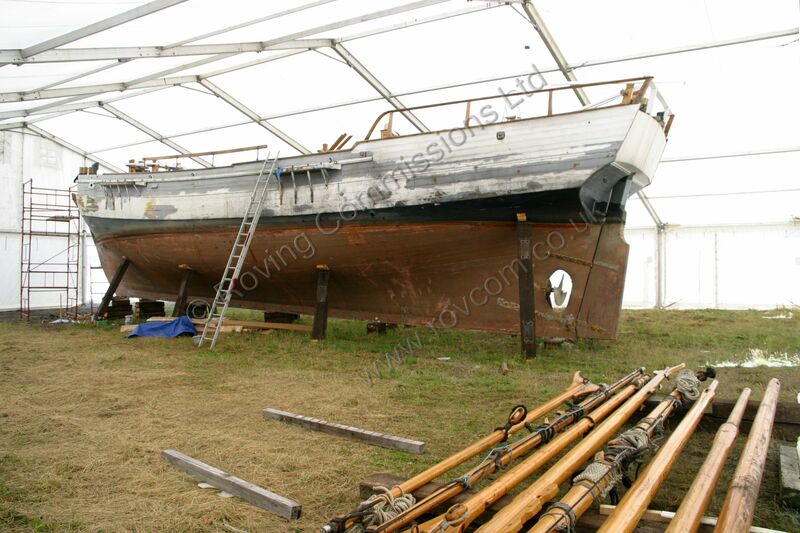 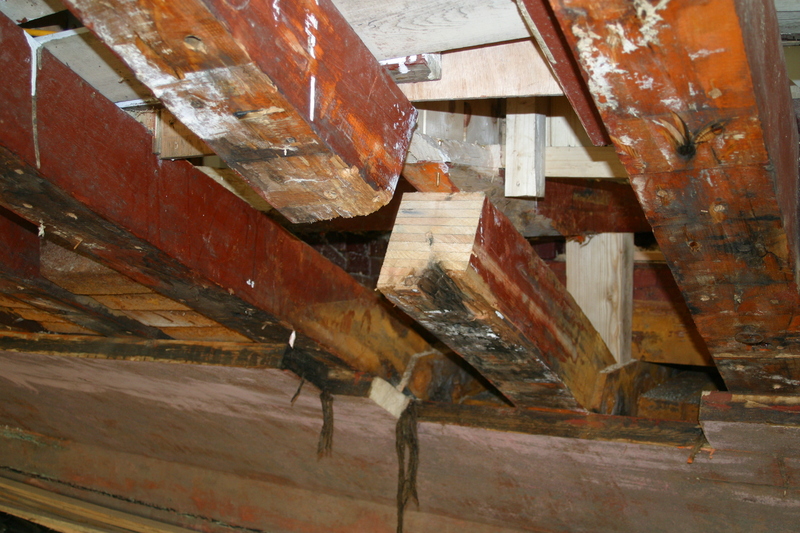 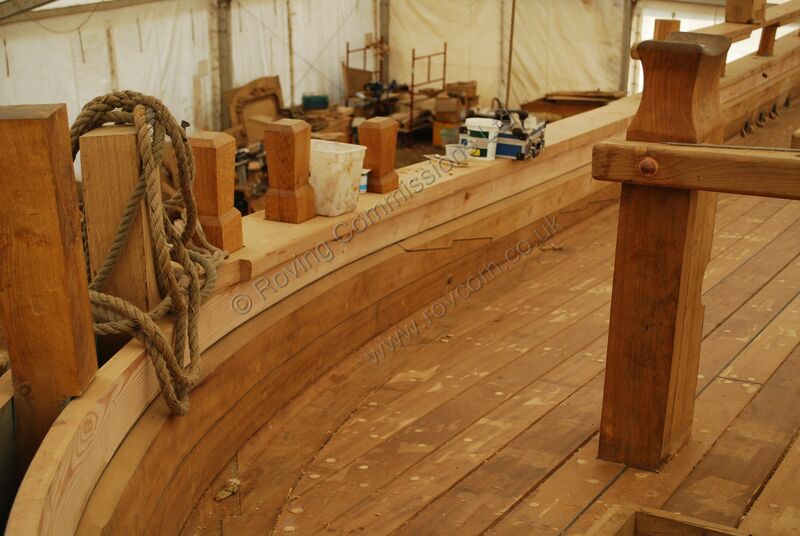 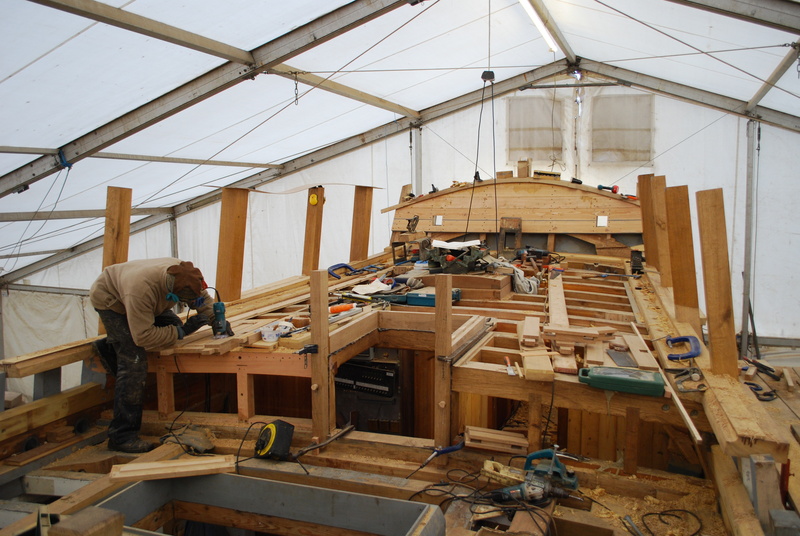 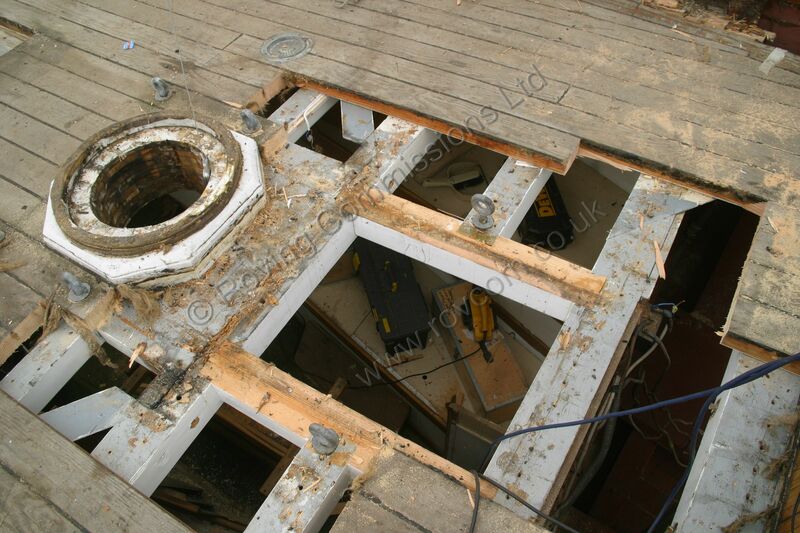 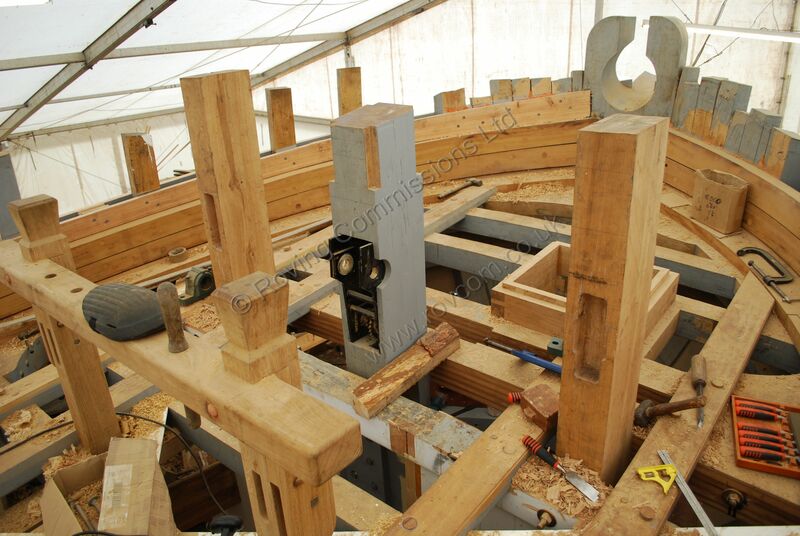 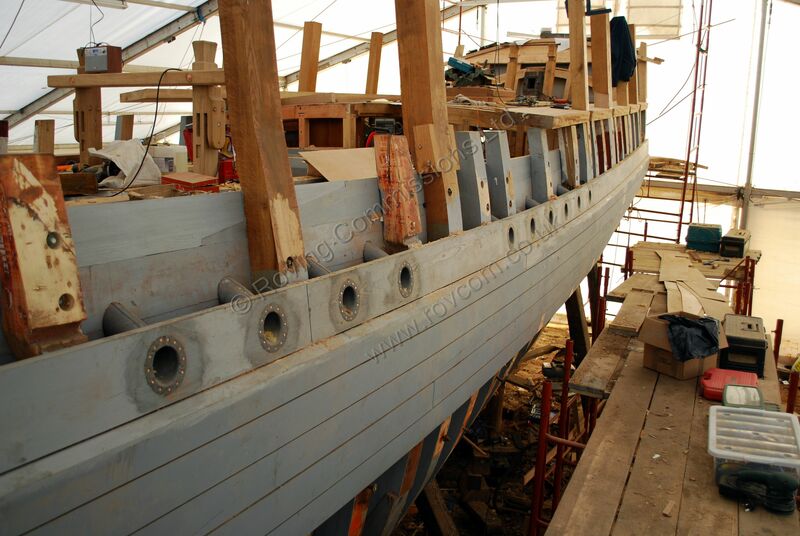 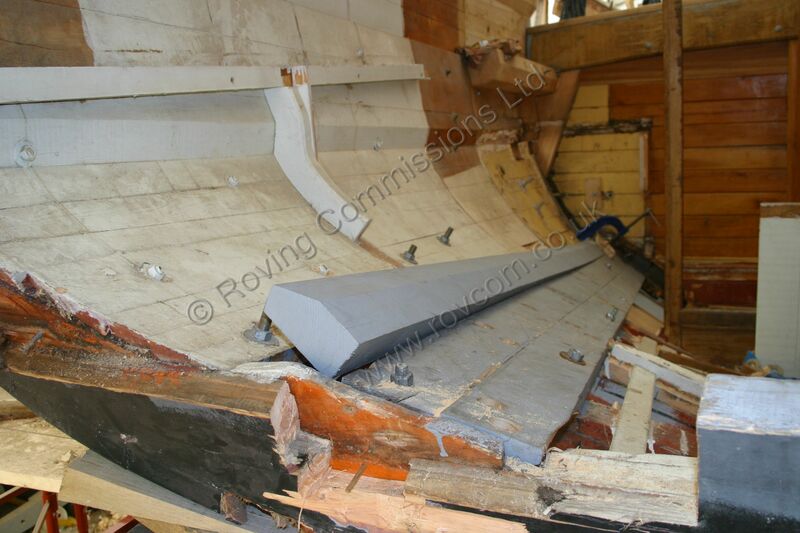 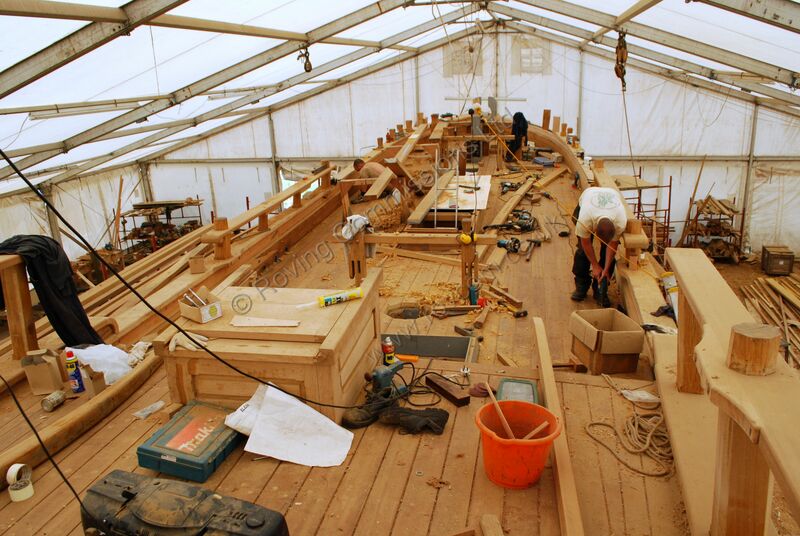 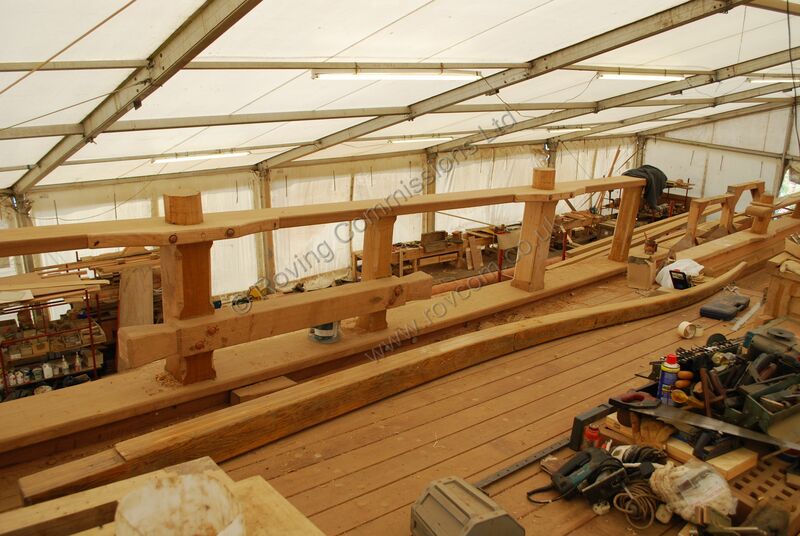 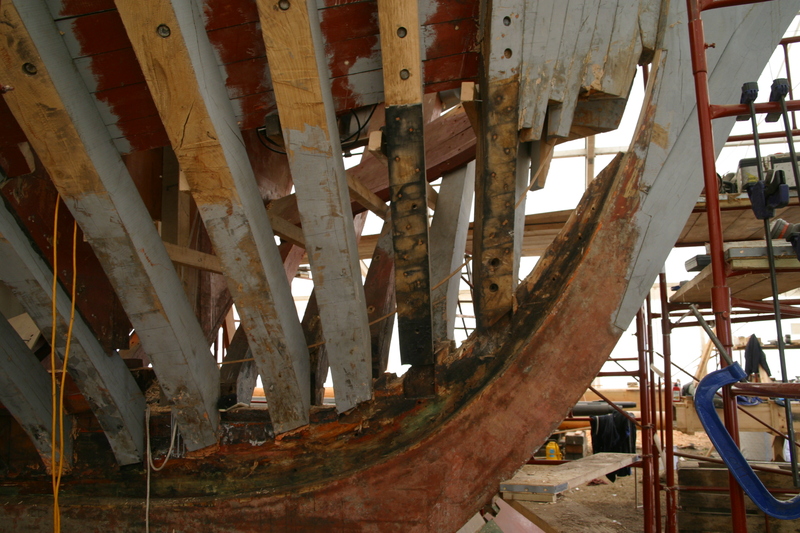 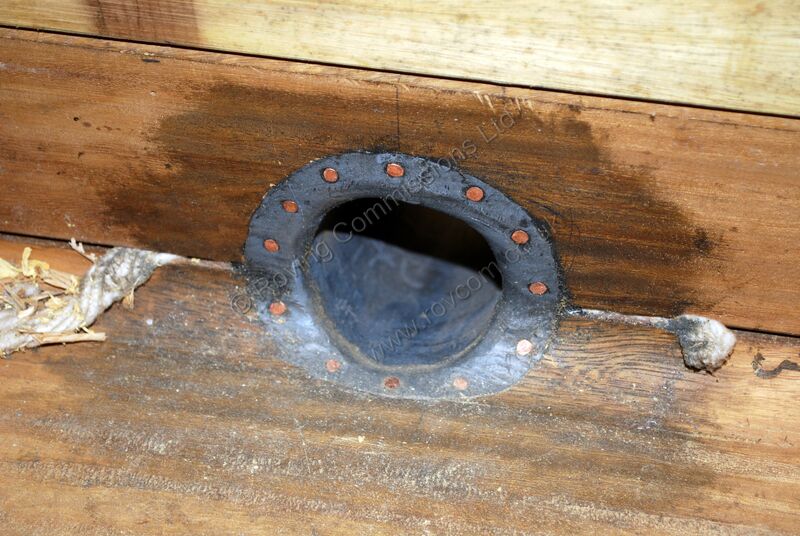 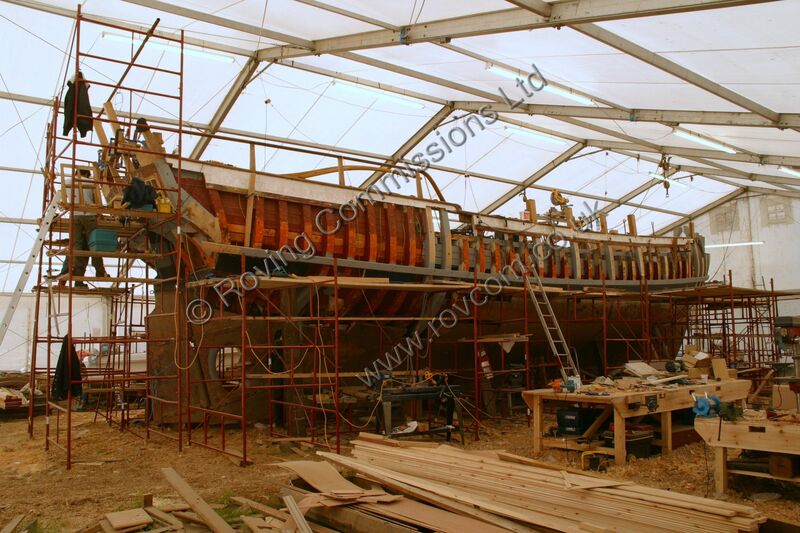 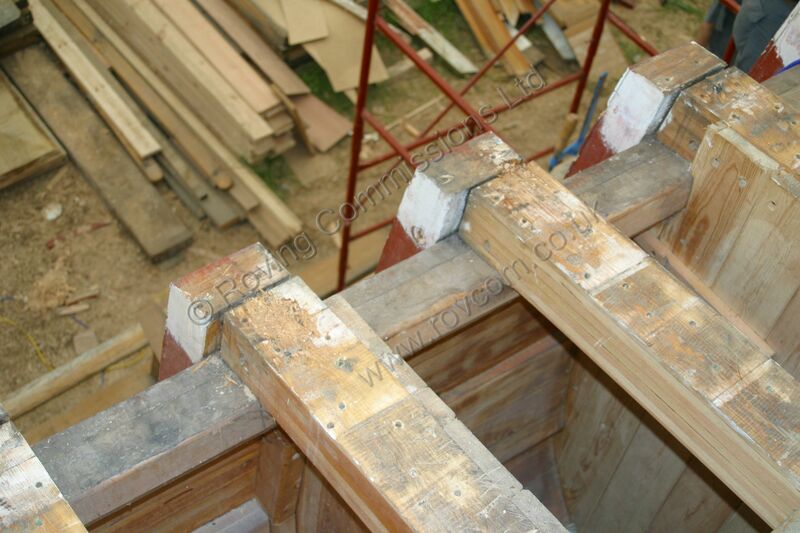 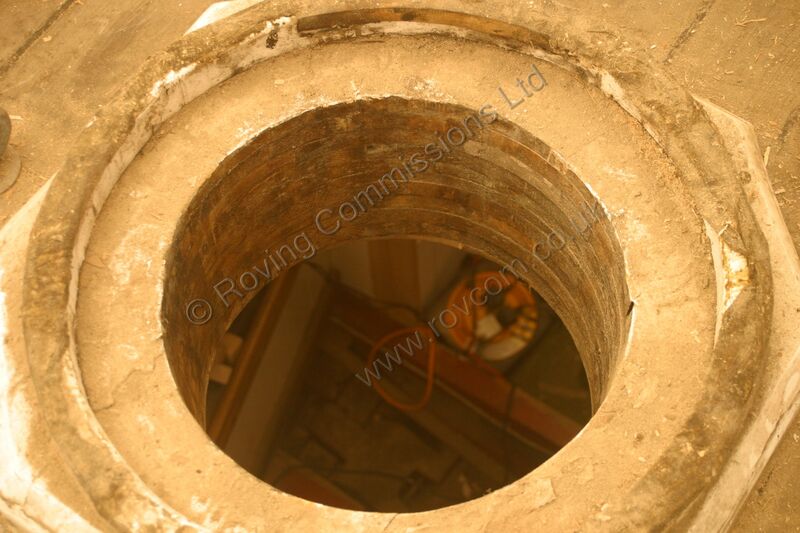 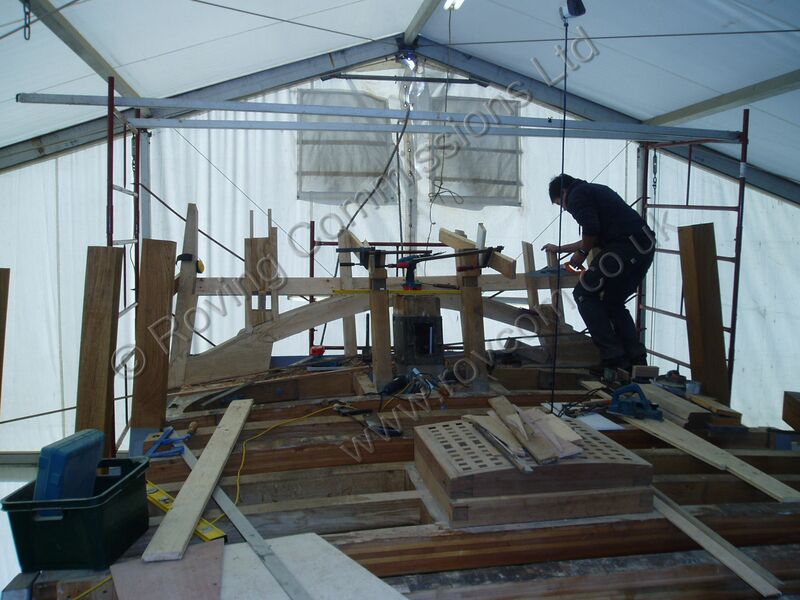 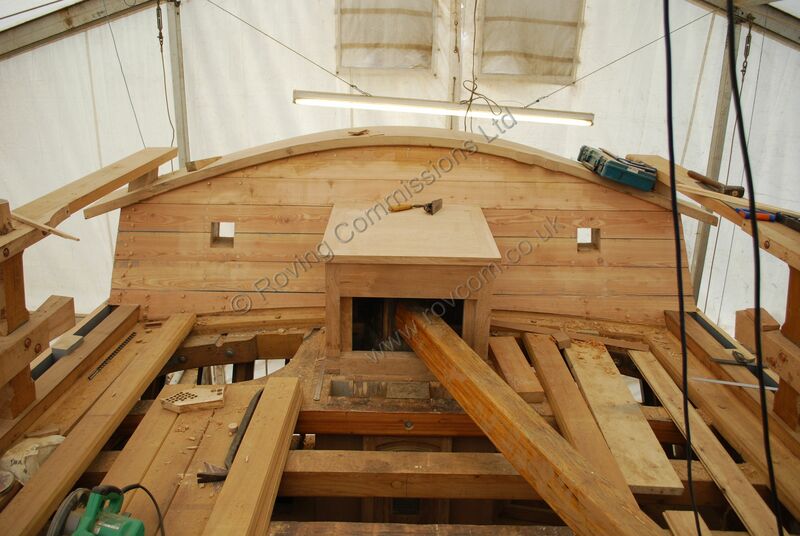 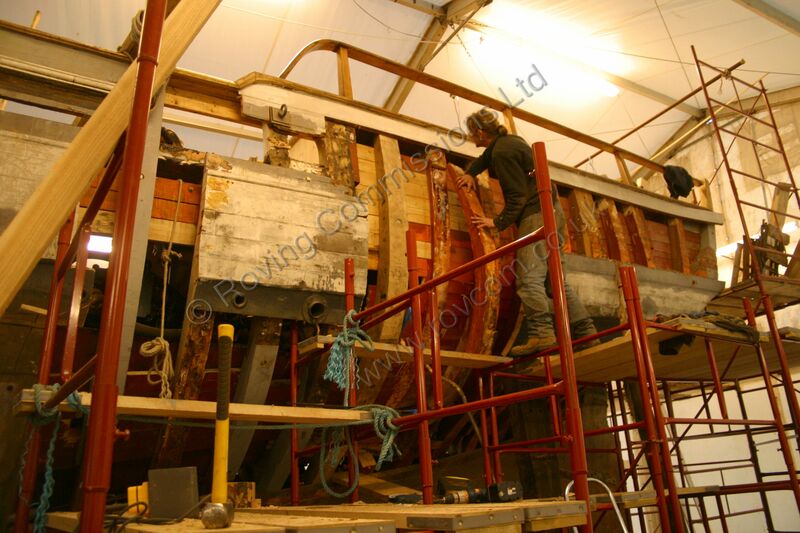 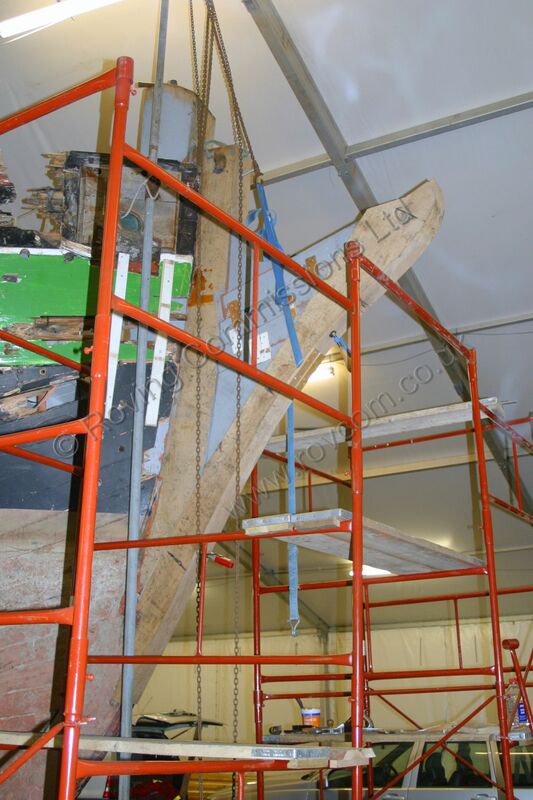 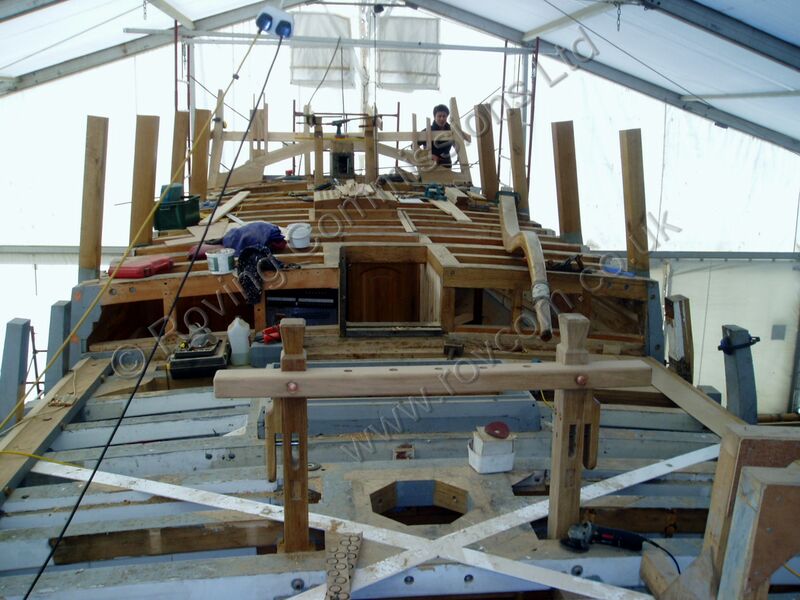 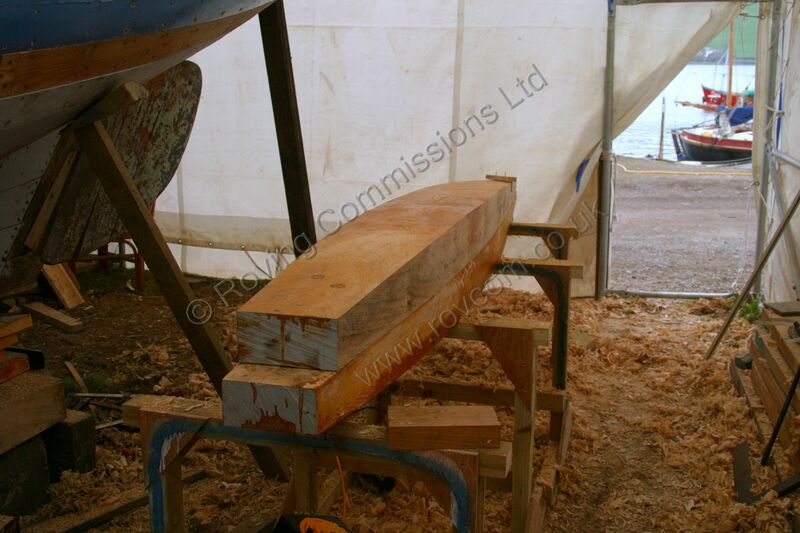 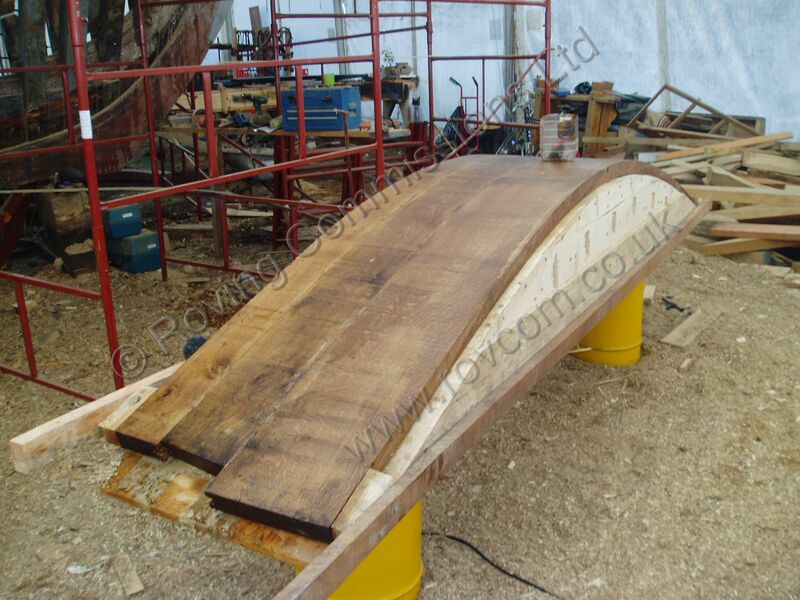 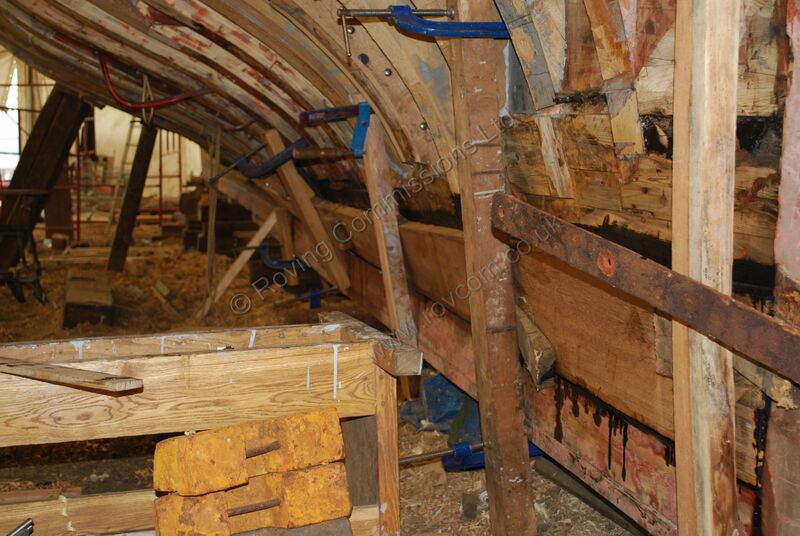 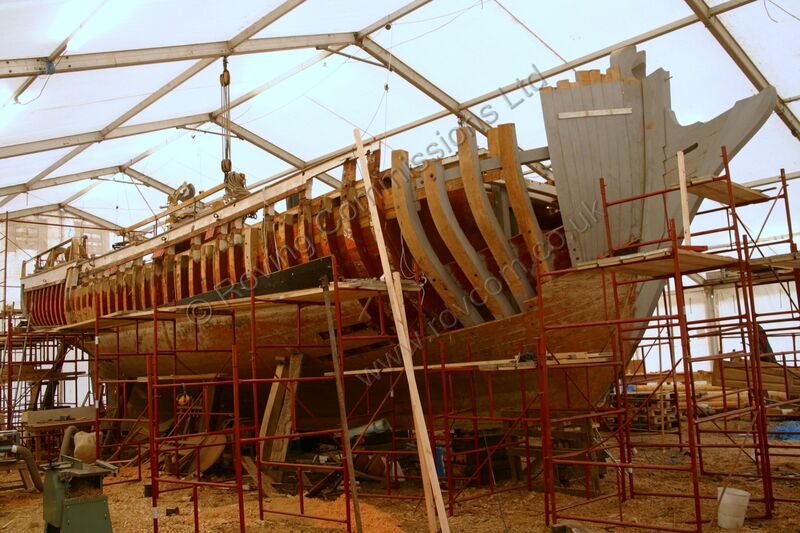 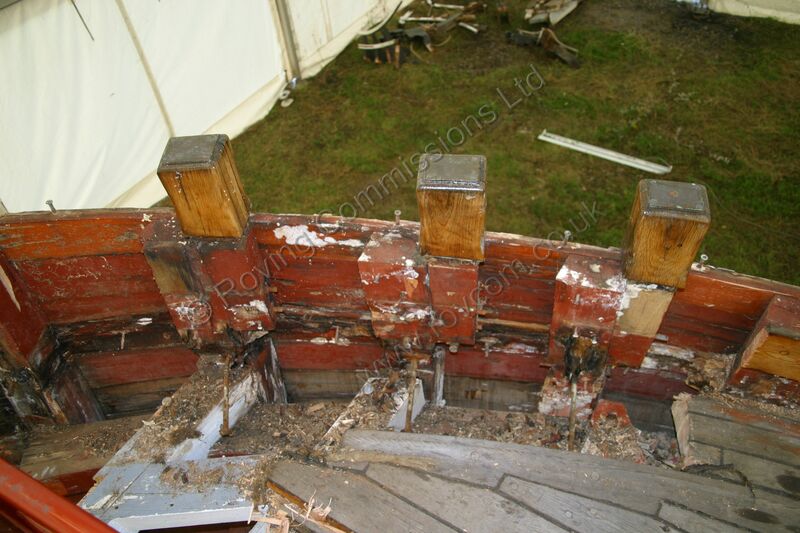 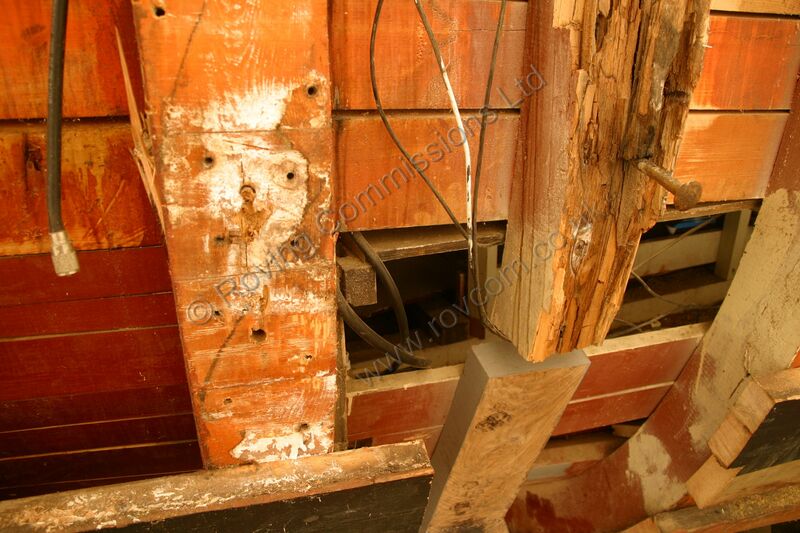 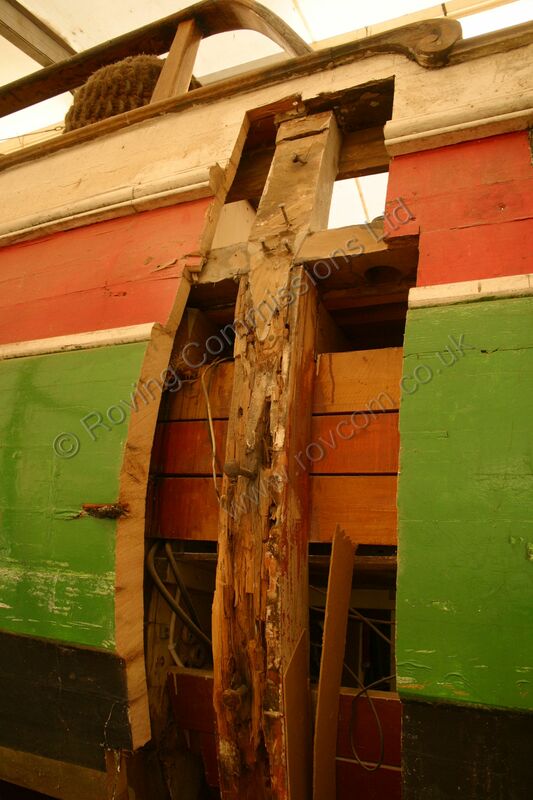 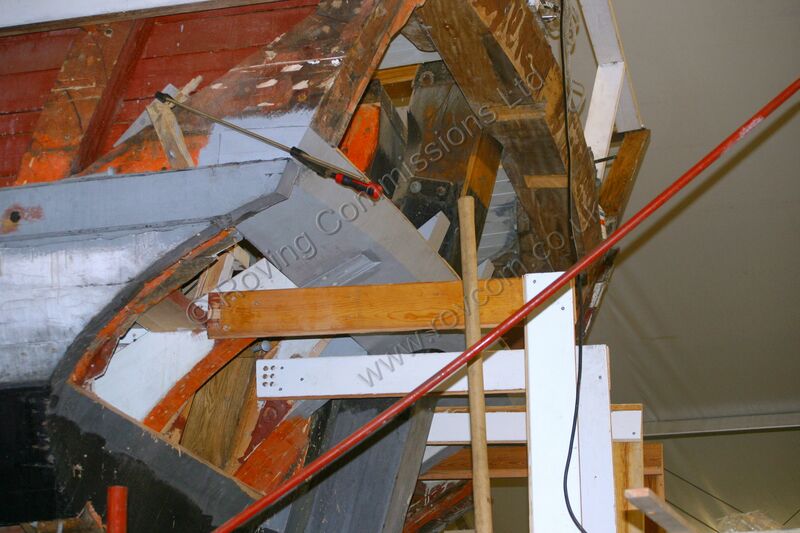 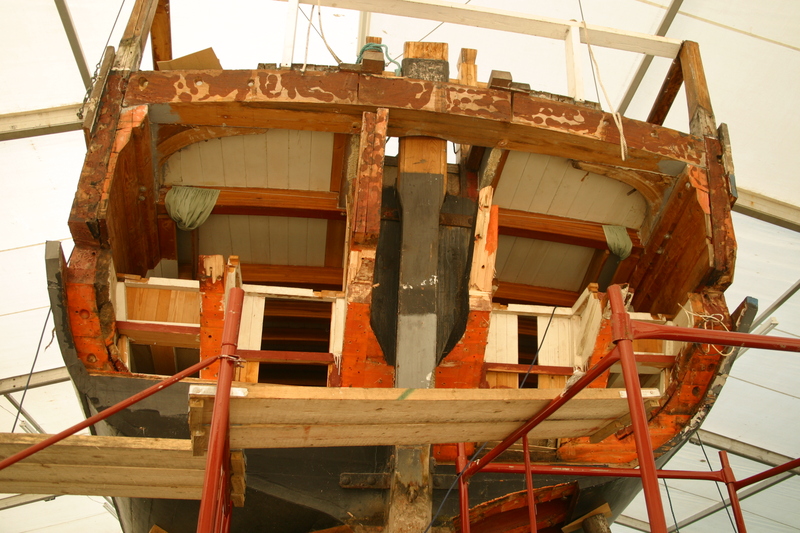 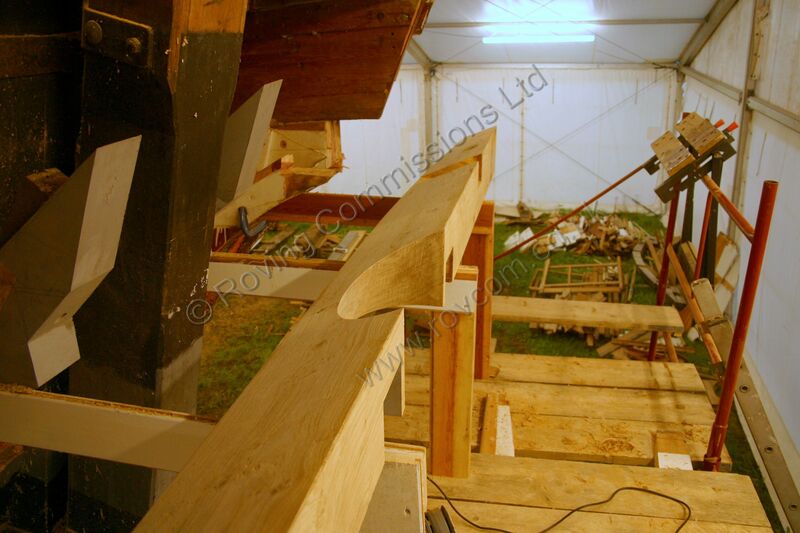 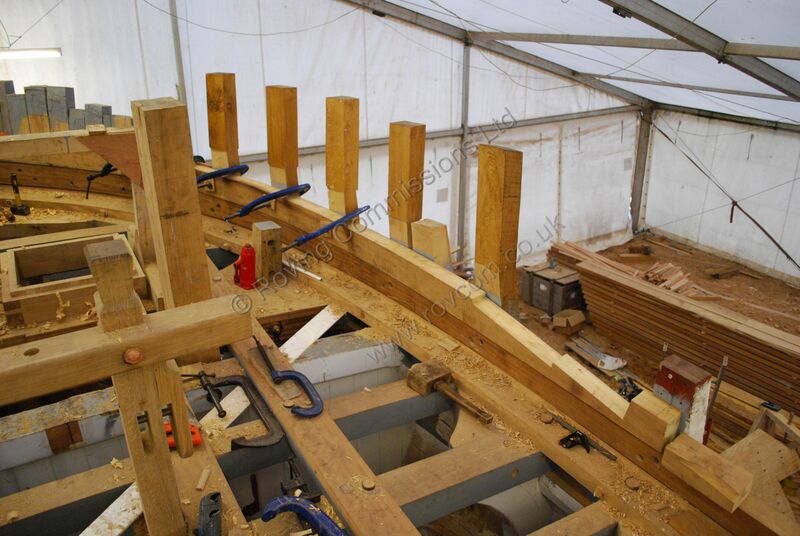 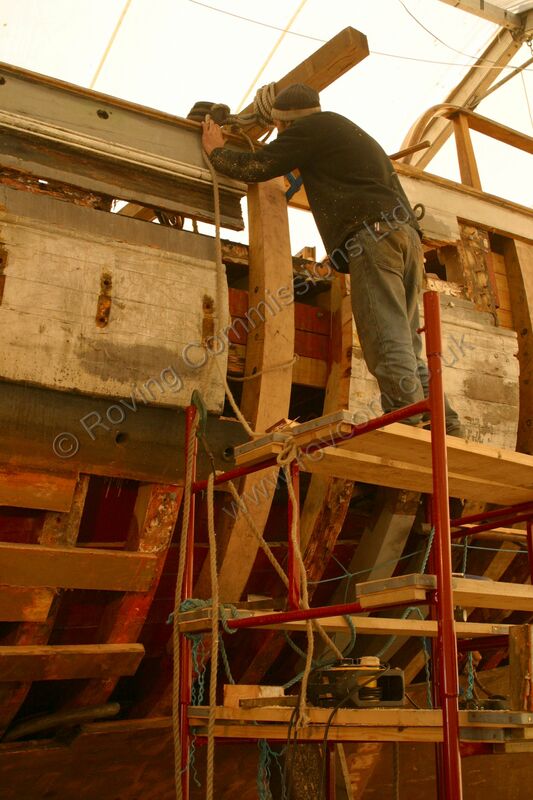 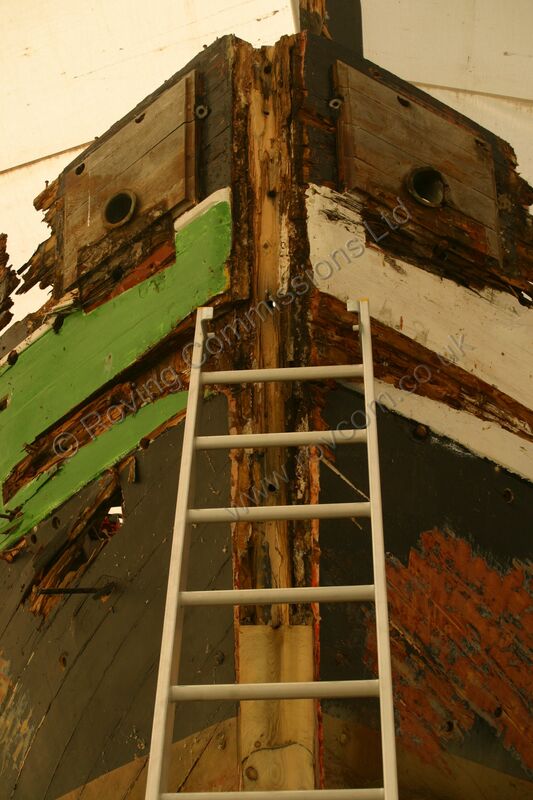 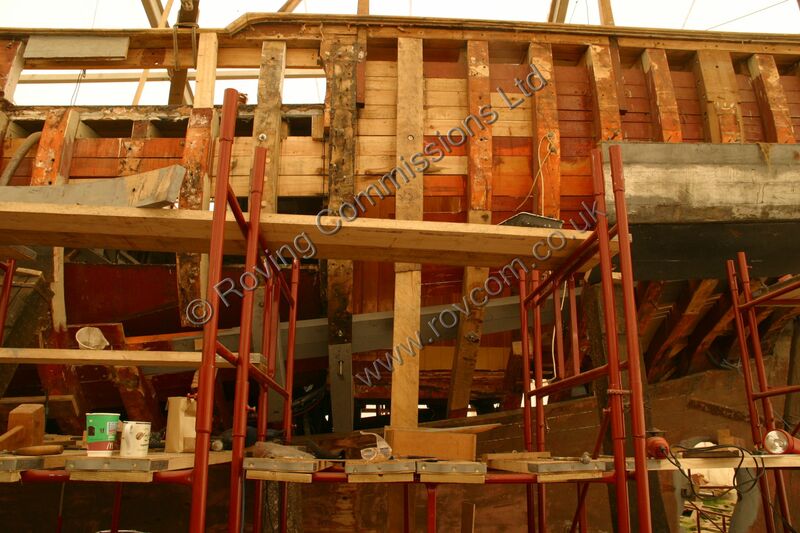 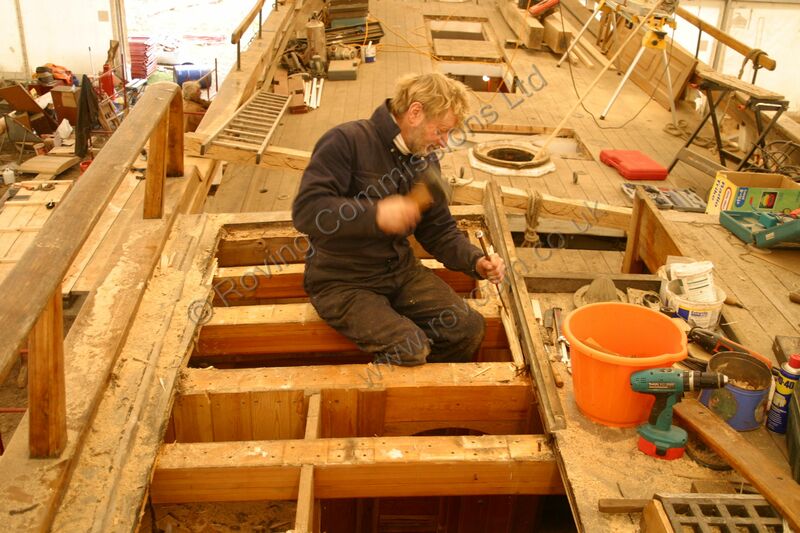 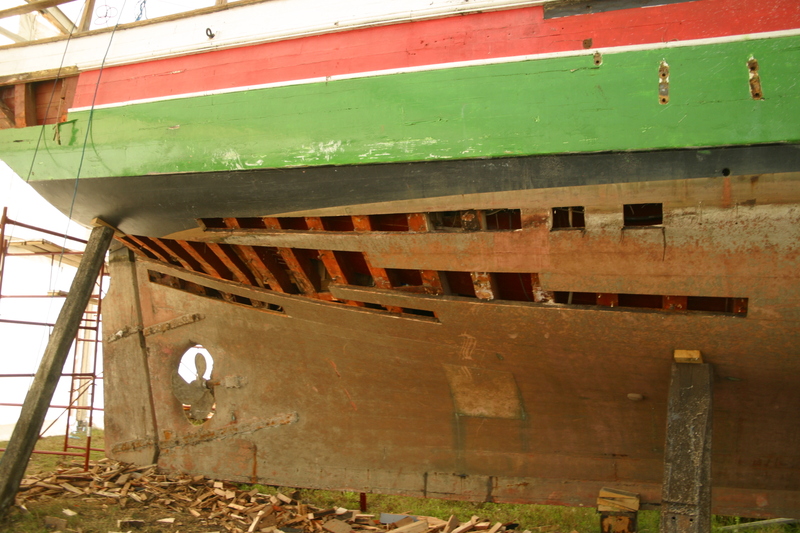 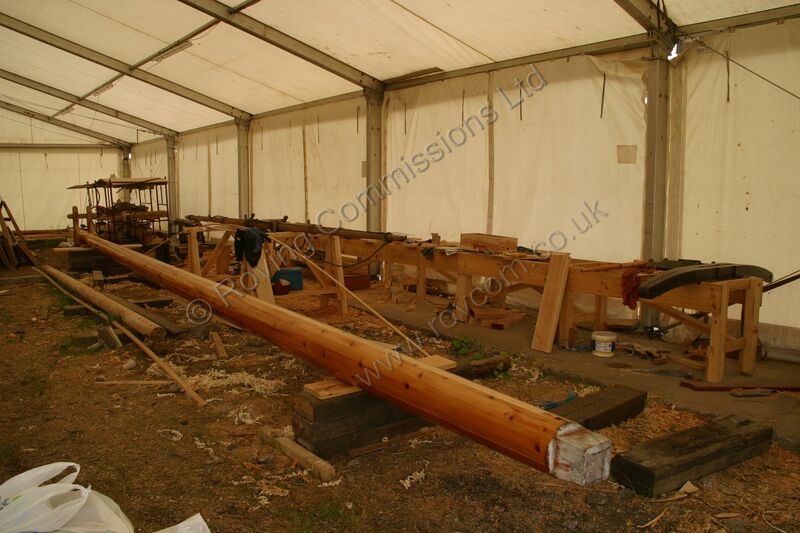 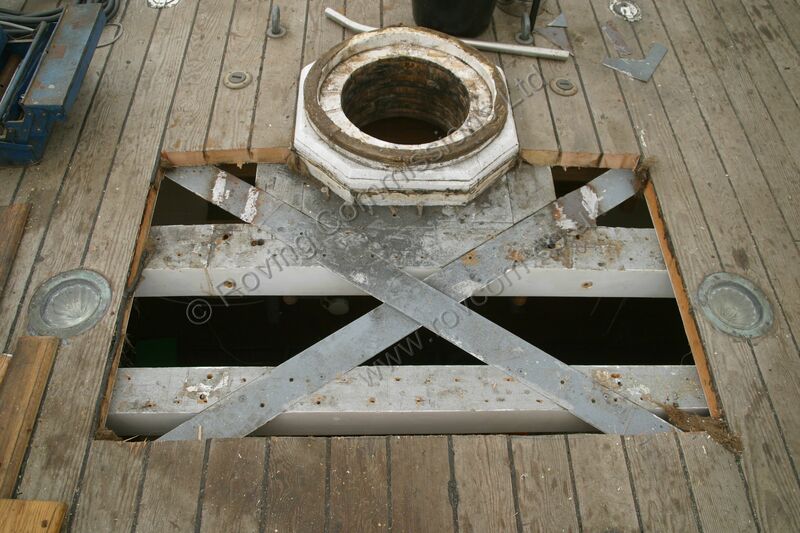 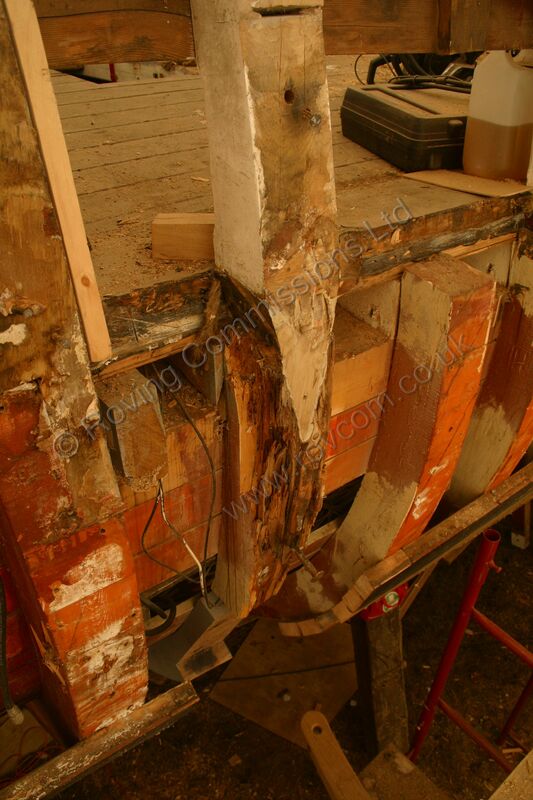 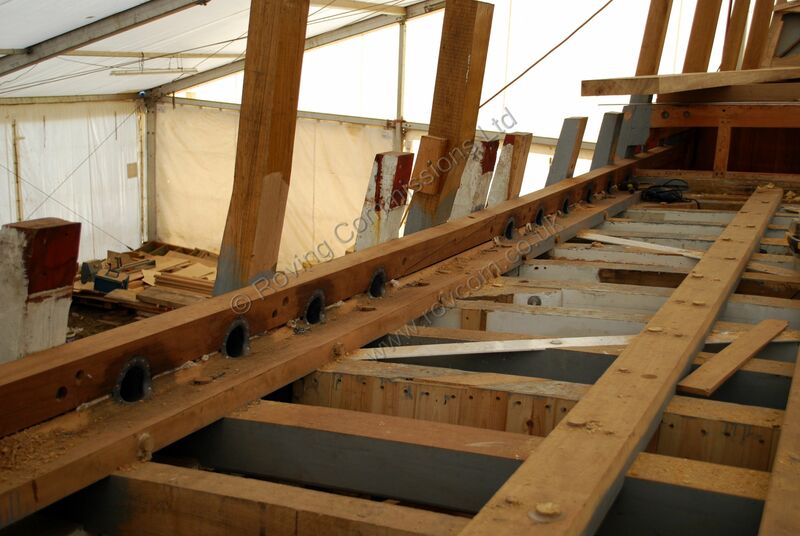 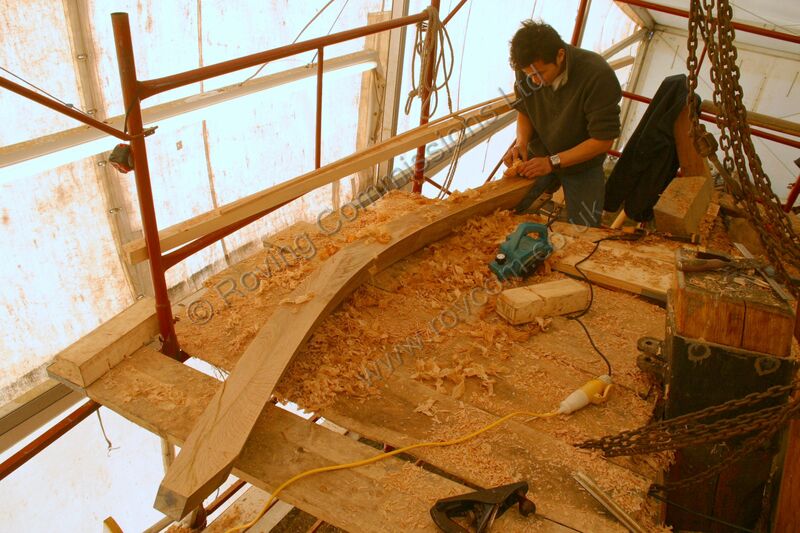 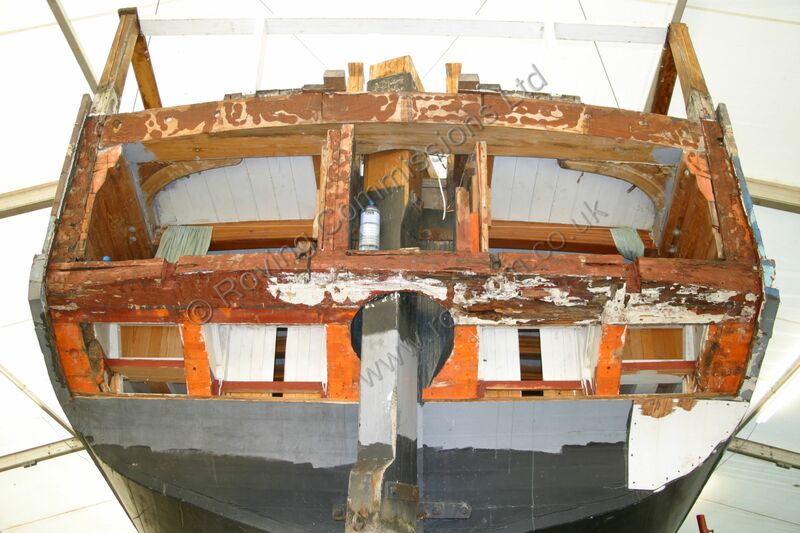 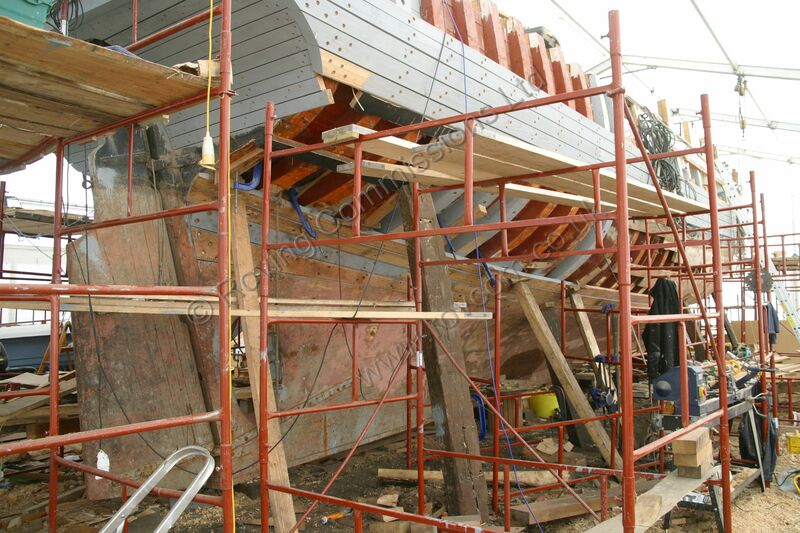 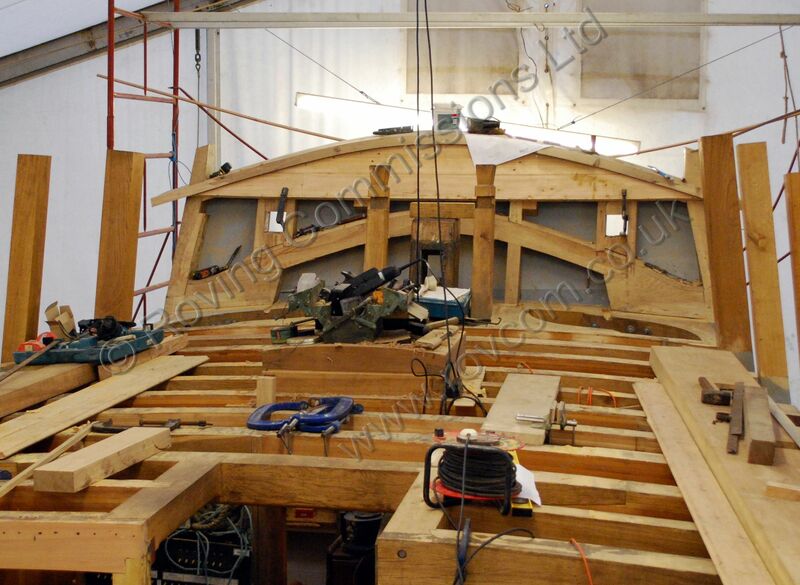 The result being that there is considerable decomposition in the topsides planking, stem, figurehead, forepeak and quarters framing, together with the transom, some of the spars, and deck planking. 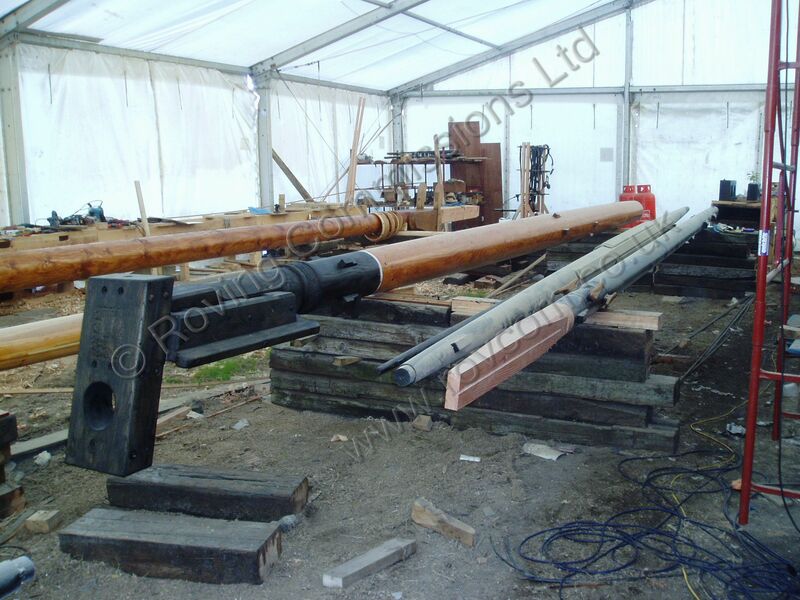 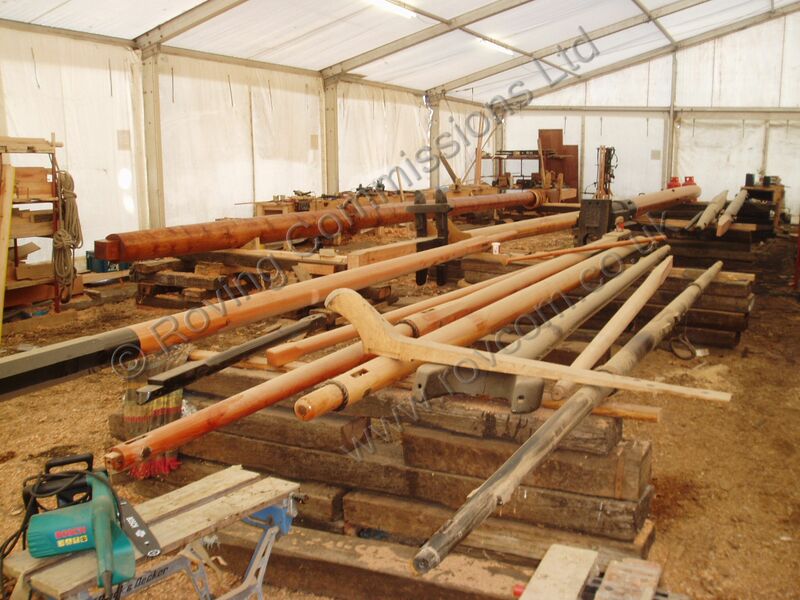 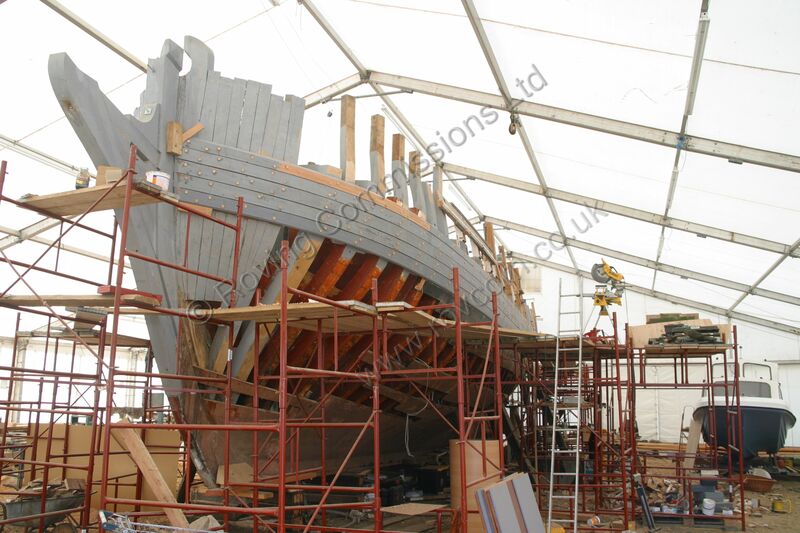 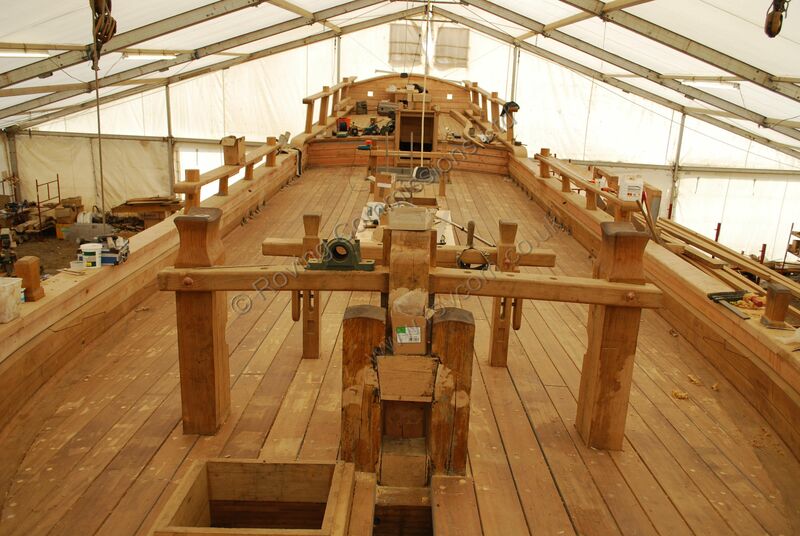 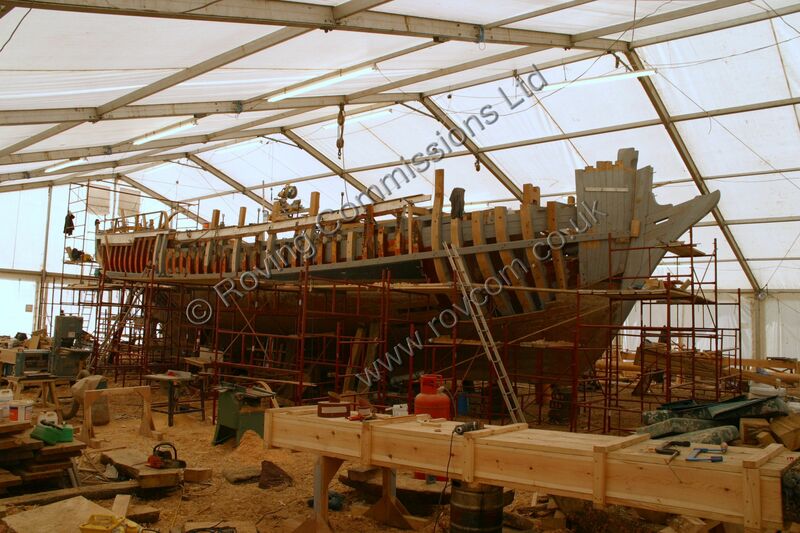 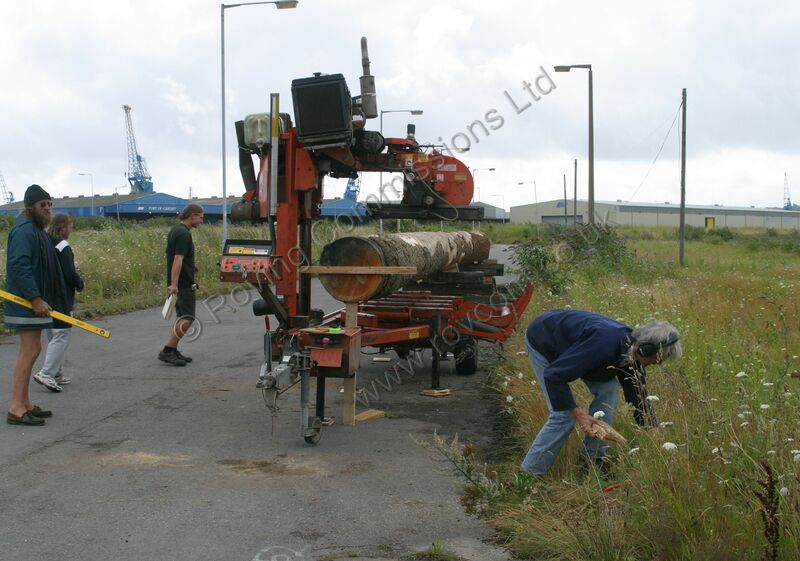 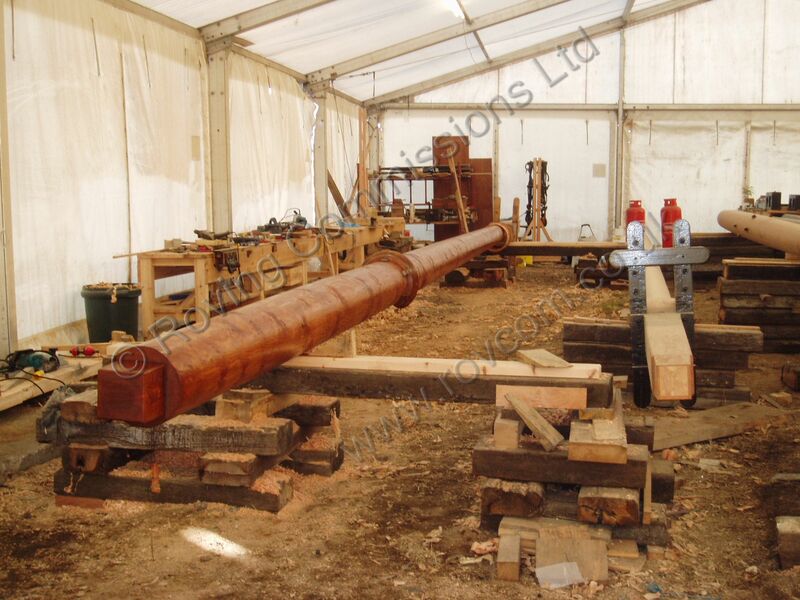 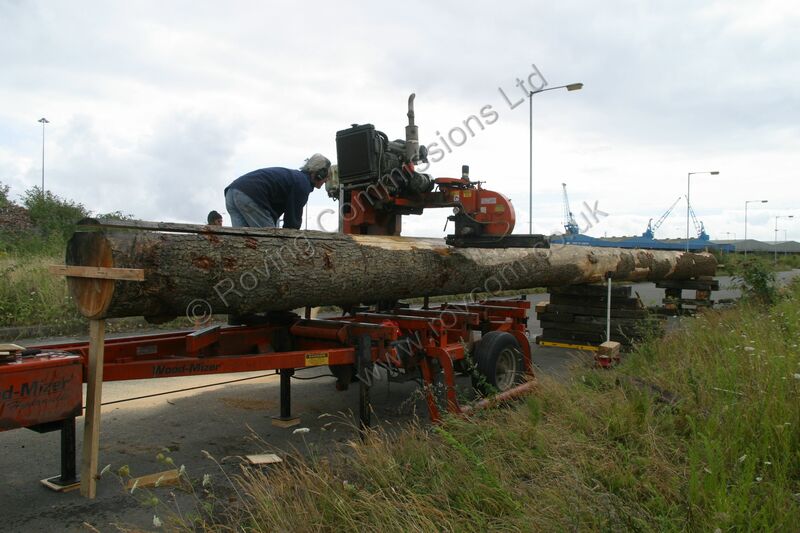 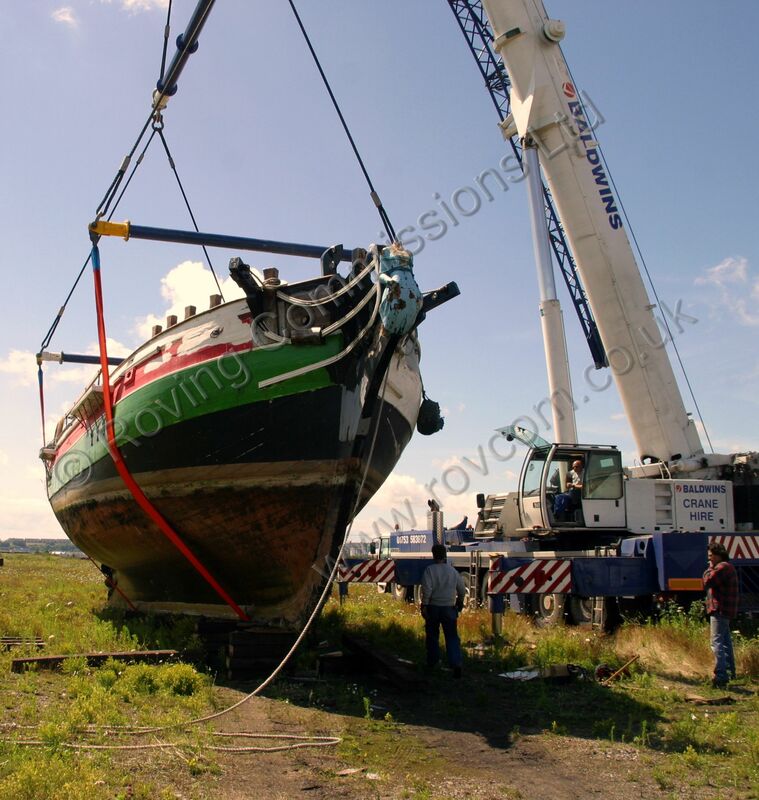 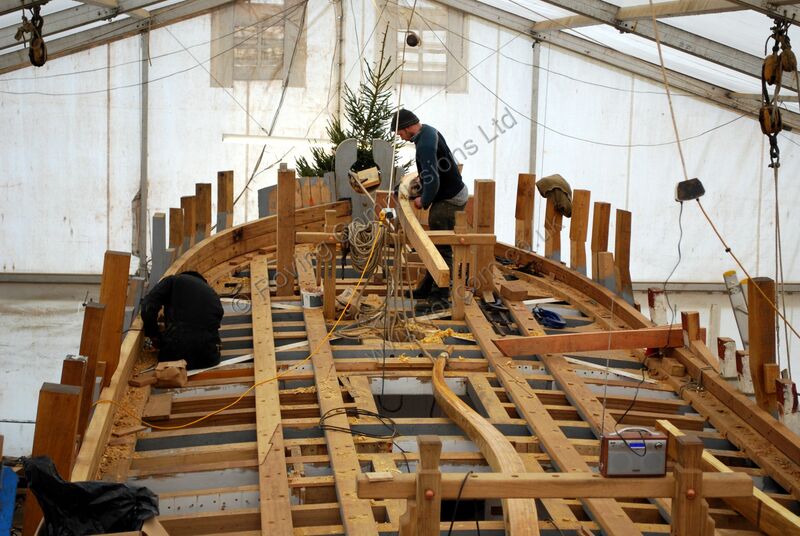 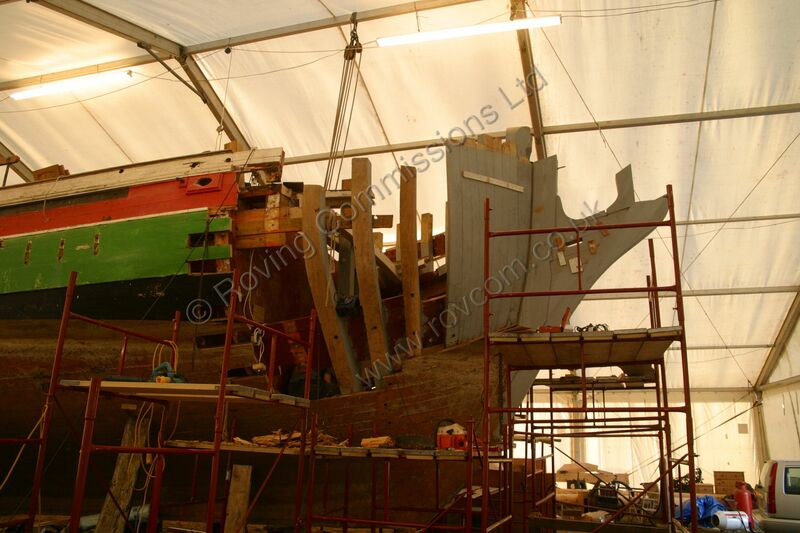 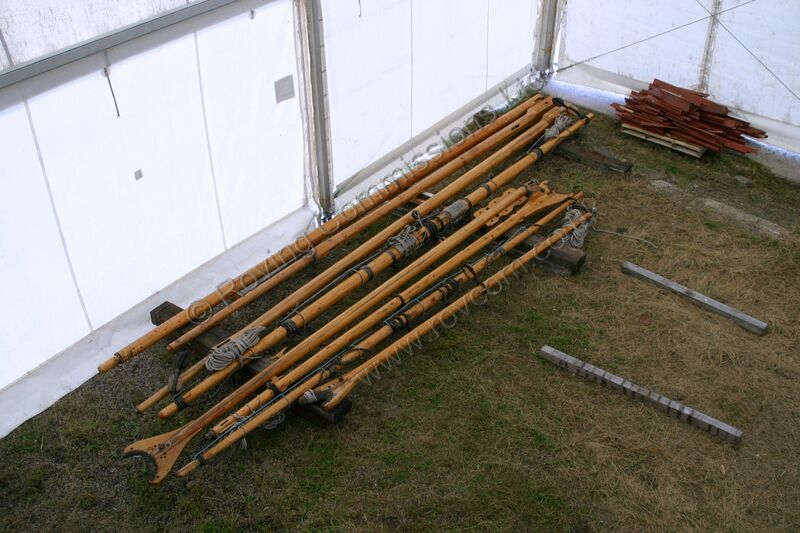 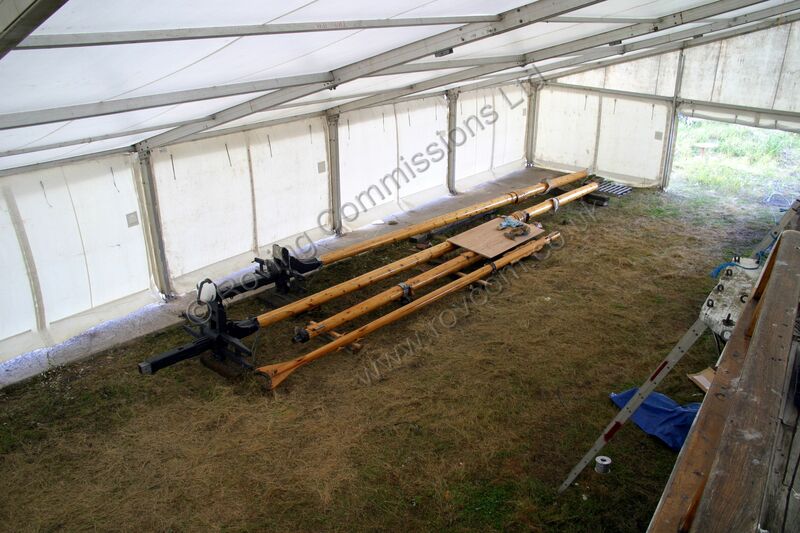 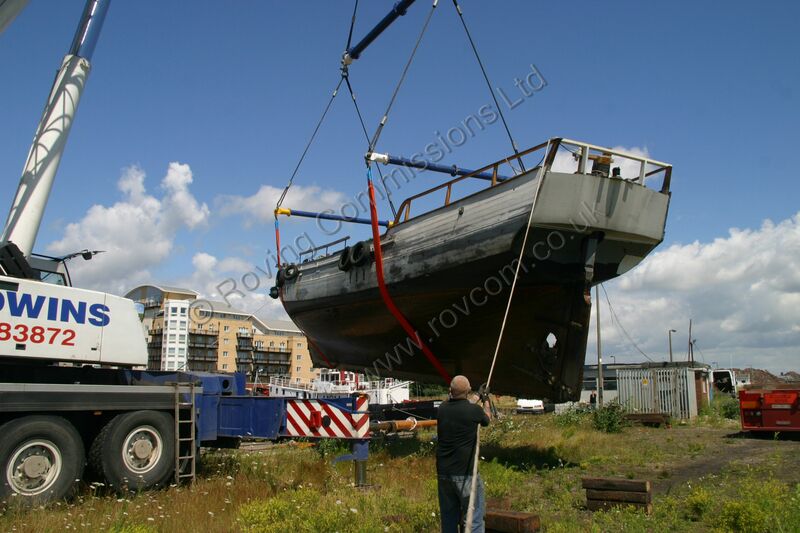 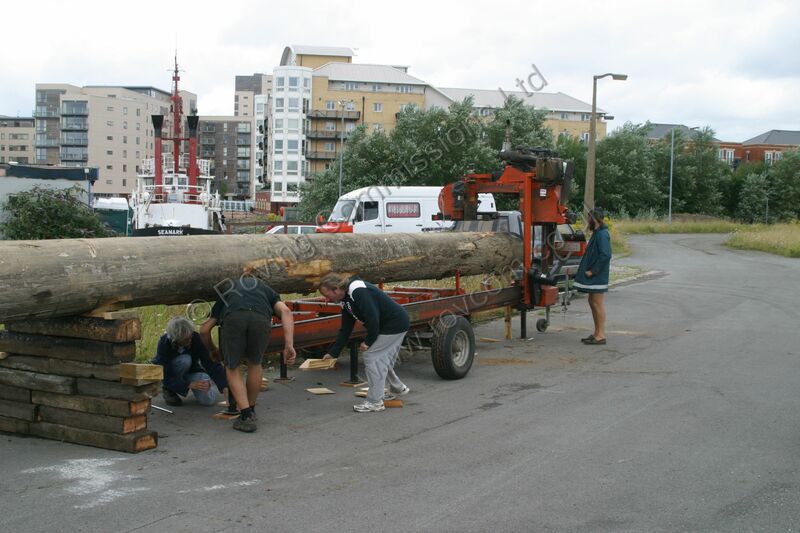 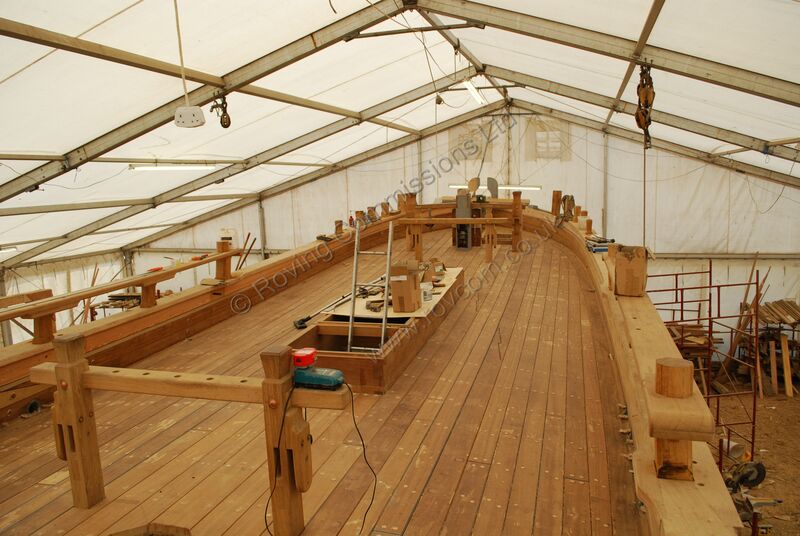 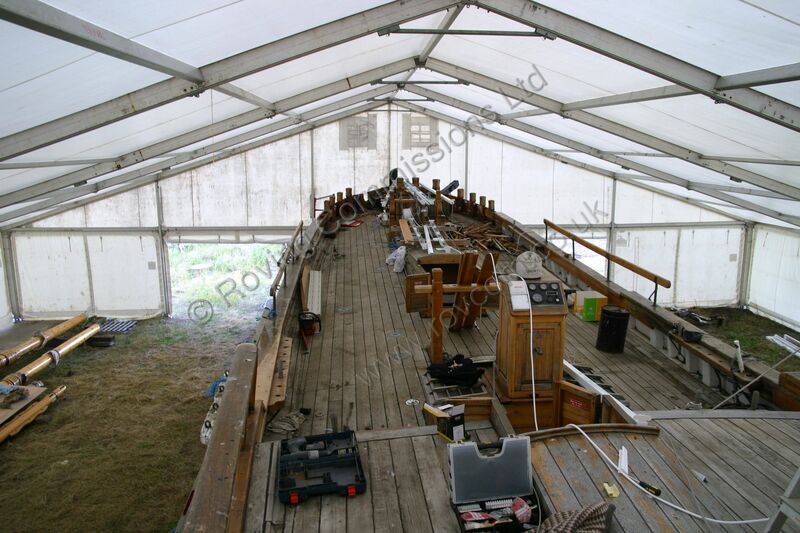 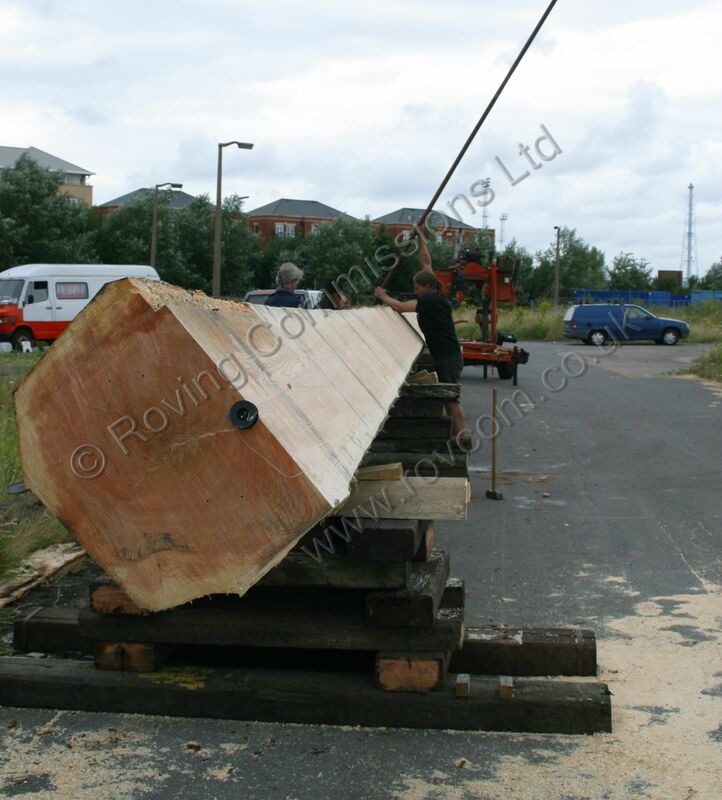 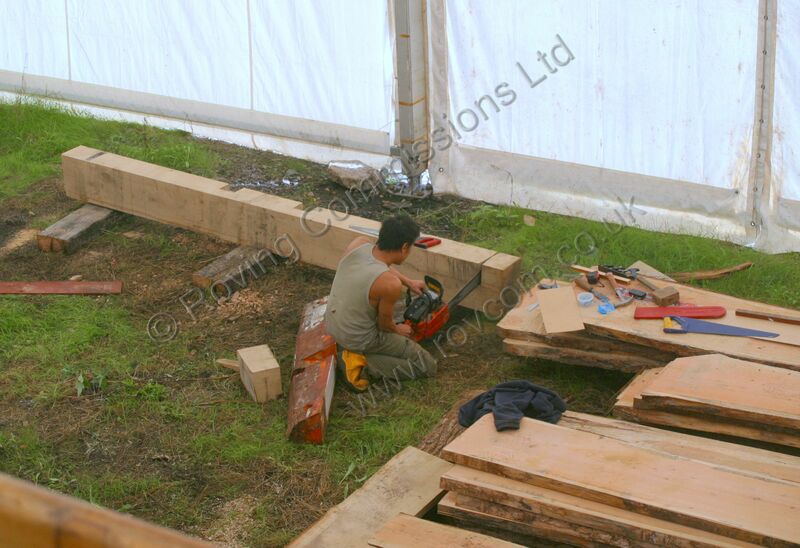 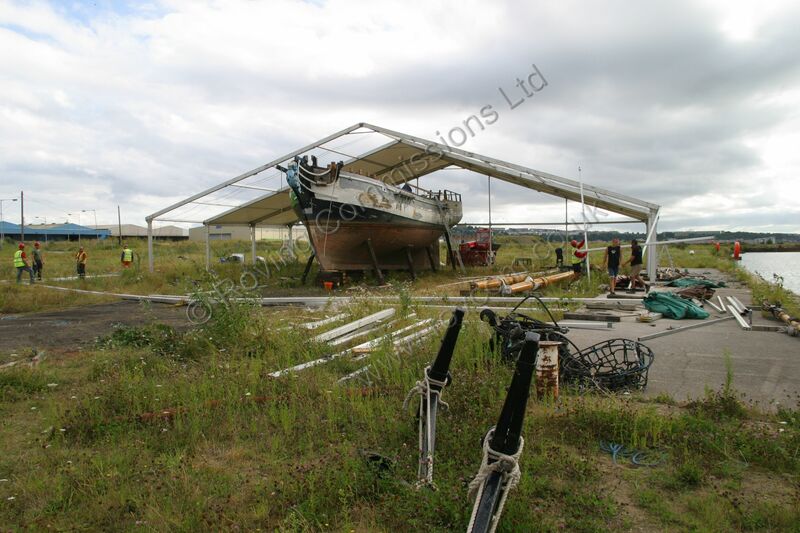 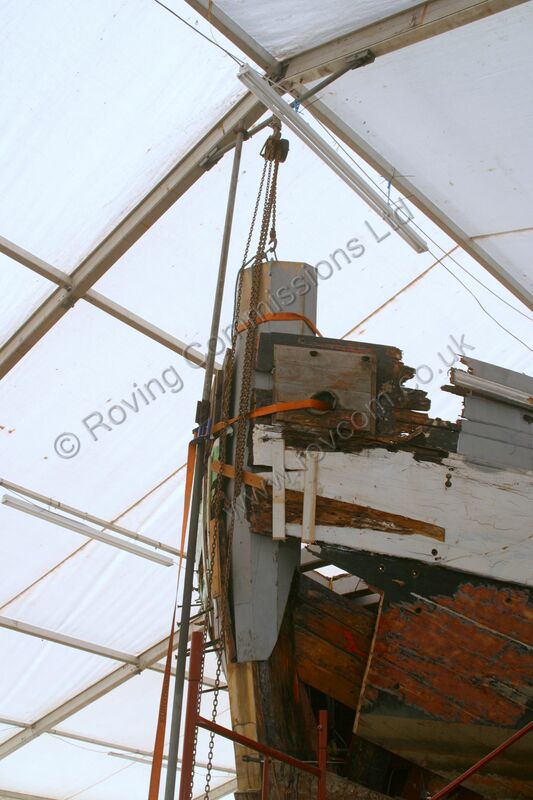 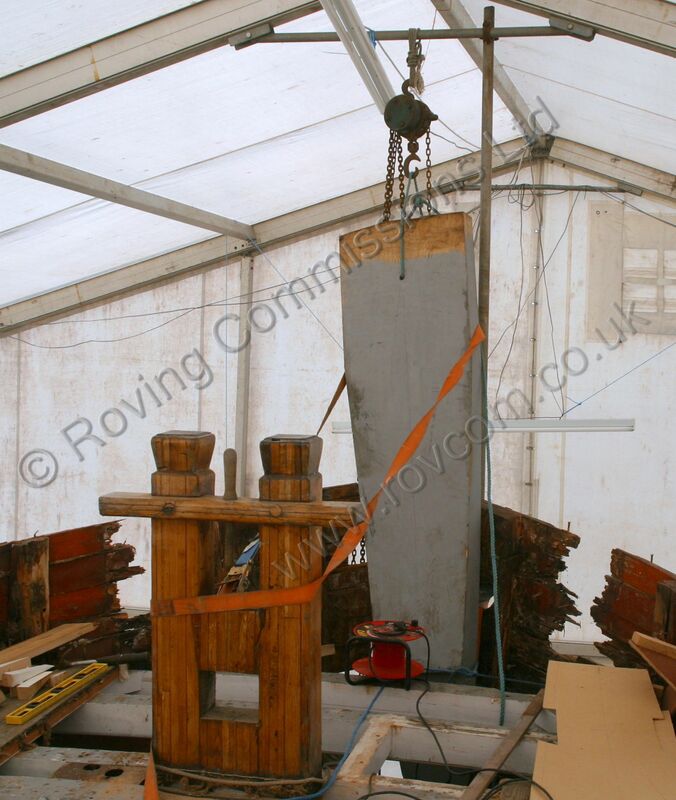 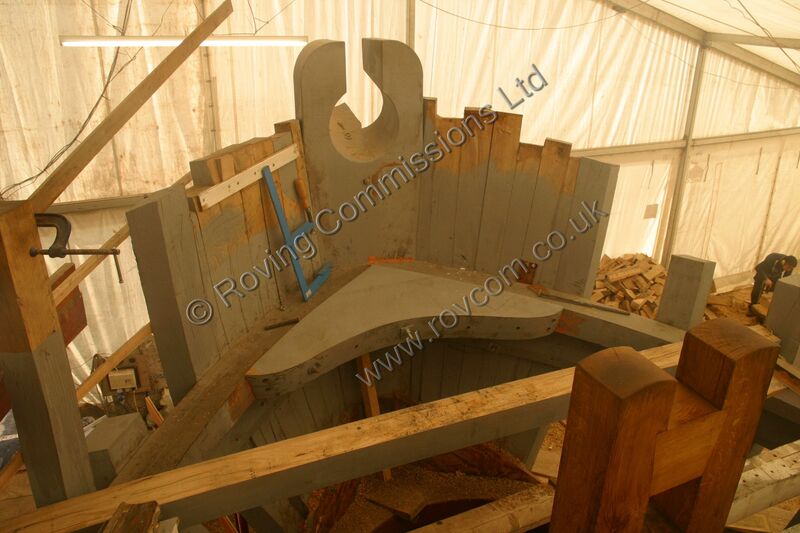 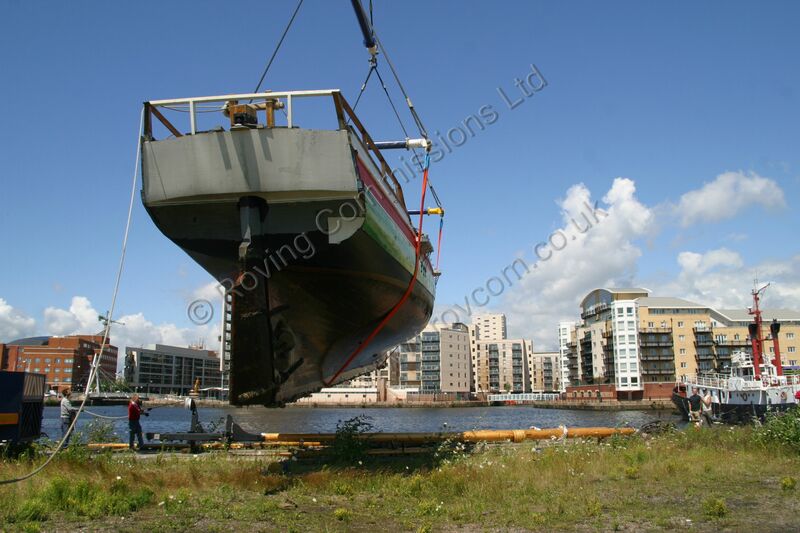 We have set up a yard within Cardiff Docks where our shipwrights will undertake the restoration work. 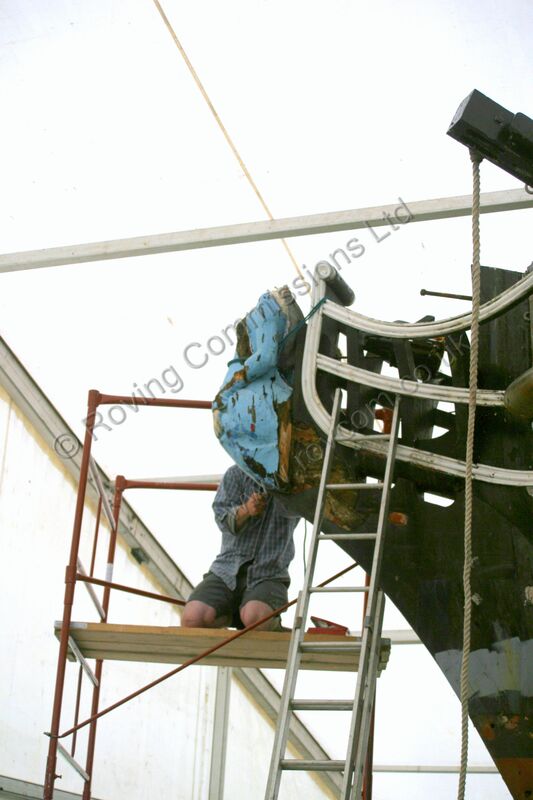 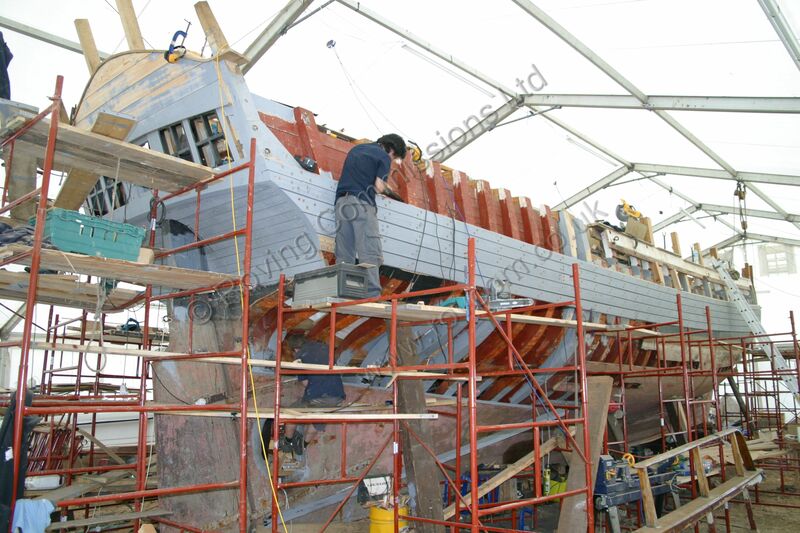 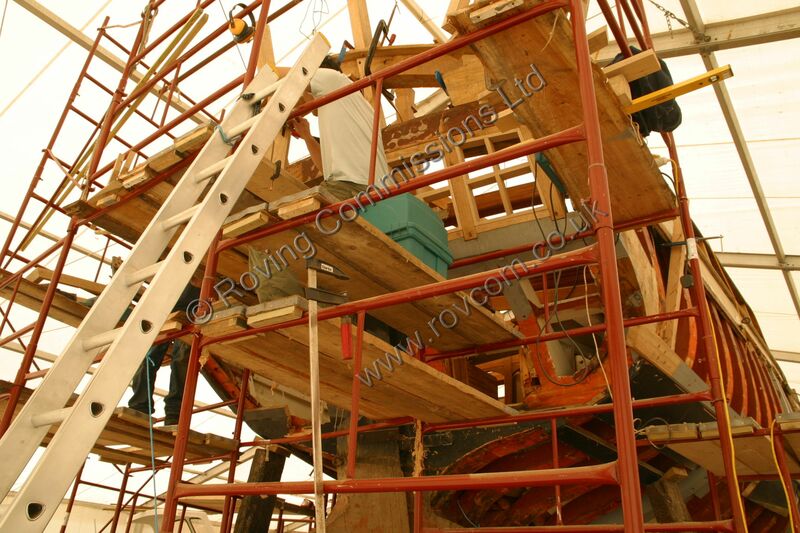 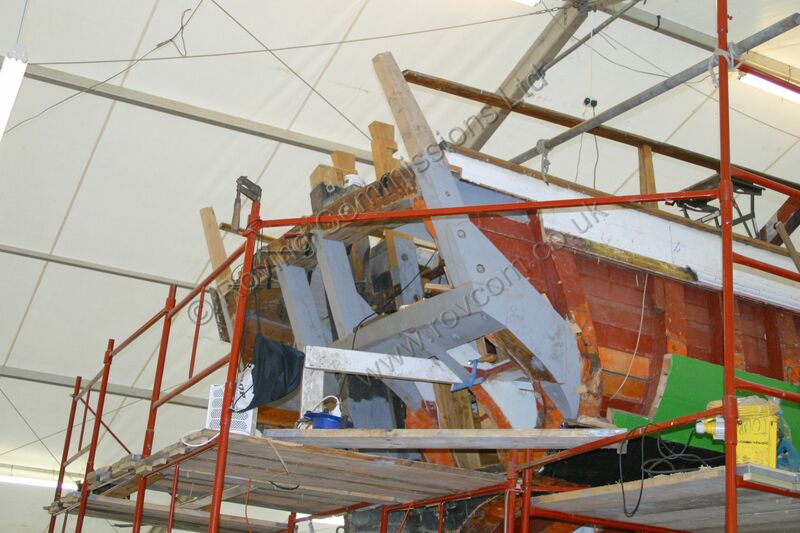 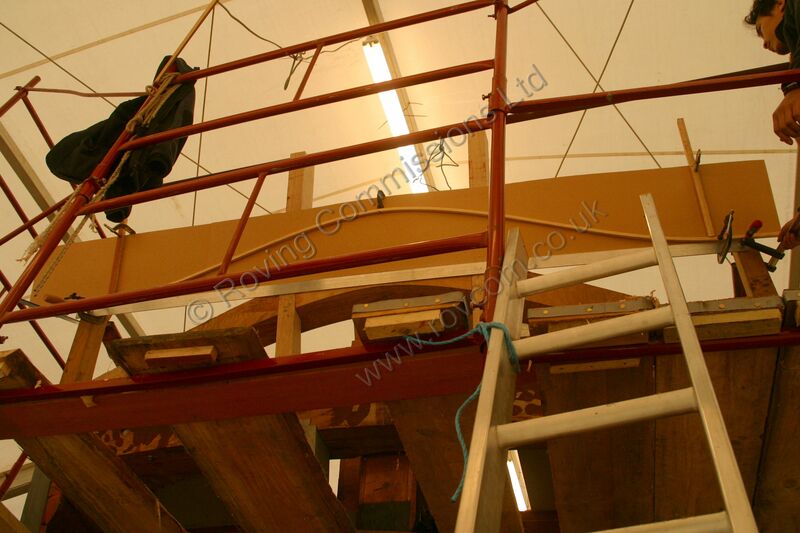 This will entail replacing the contaminated members, stem, cutwater, apron, bow framing and other frame sections, followed by all of her topsides and some below waterline planking, not forgetting of course a new figurehead and stern decoration. 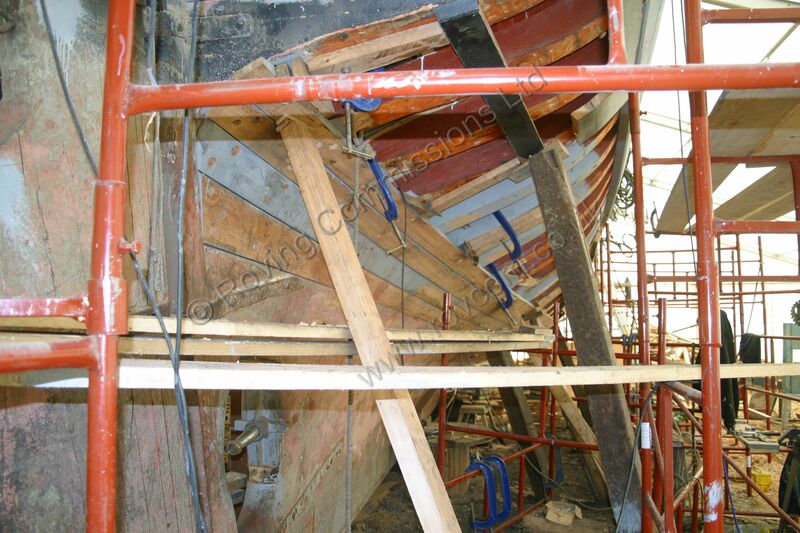 We will also be replacing her bowsprit, topsail yard, main topmast and main boom. 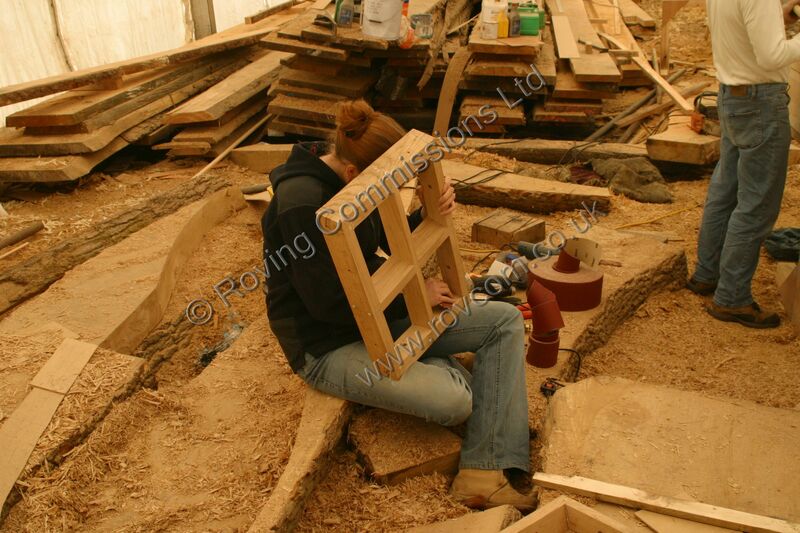 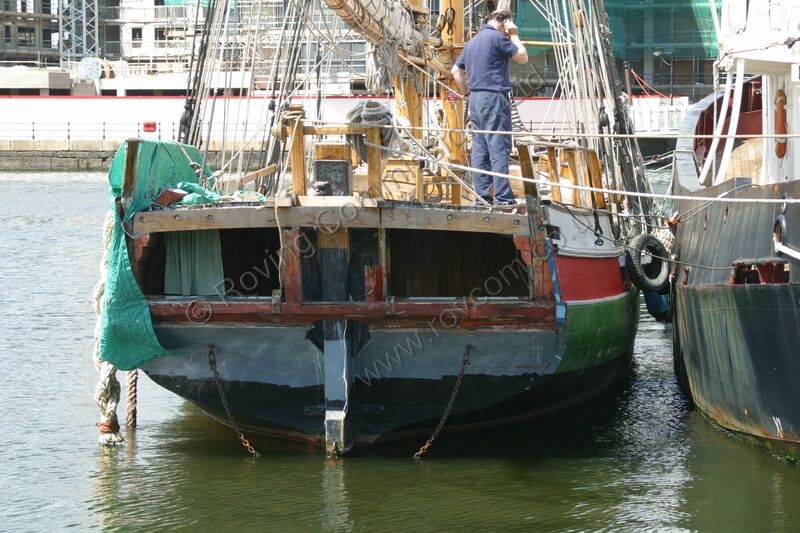 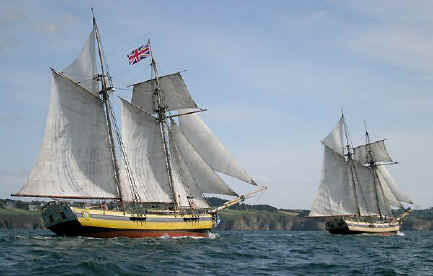 She will be fully and accurately re-rigged to faithfully recreate late 18th century practice for vessels of this type. 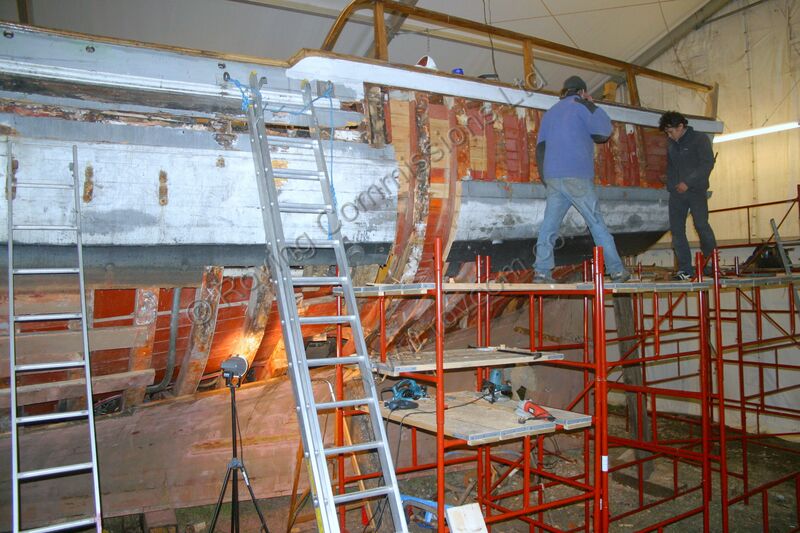 New sails will be made to the same pattern and method of the period. 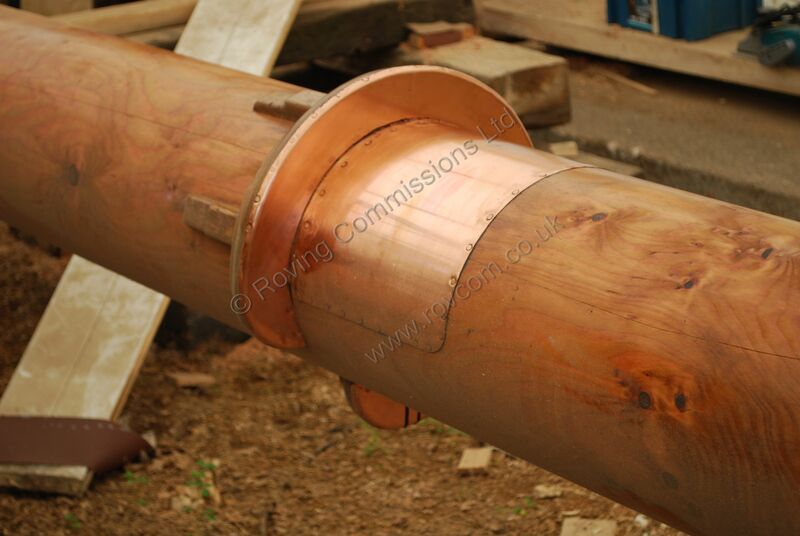 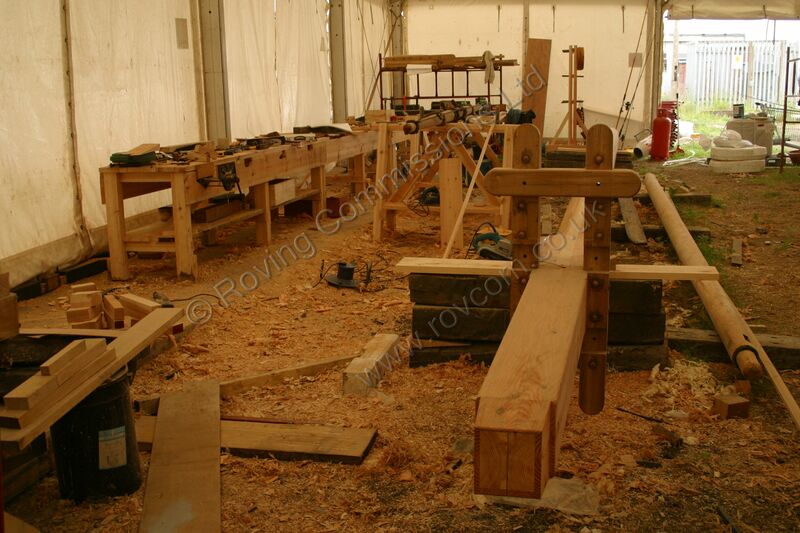 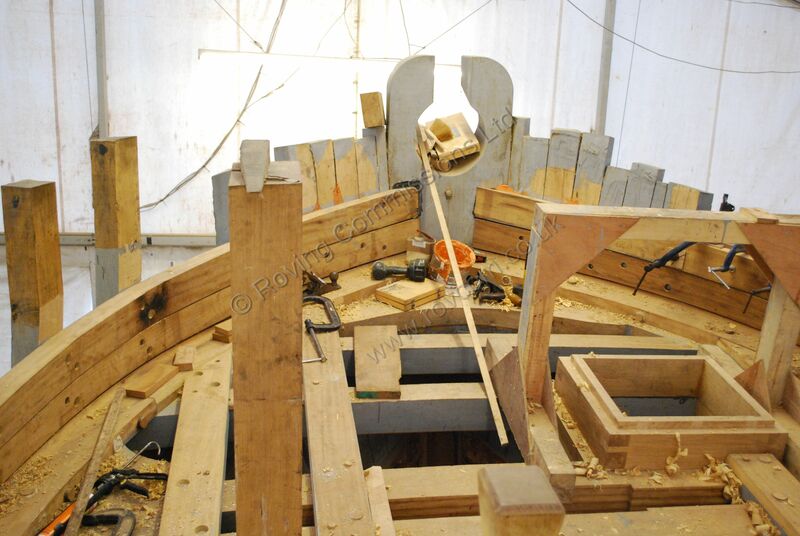 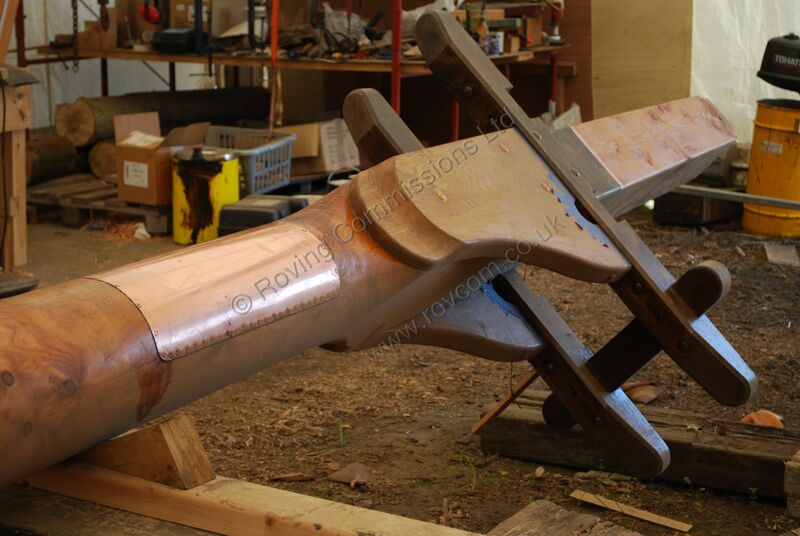 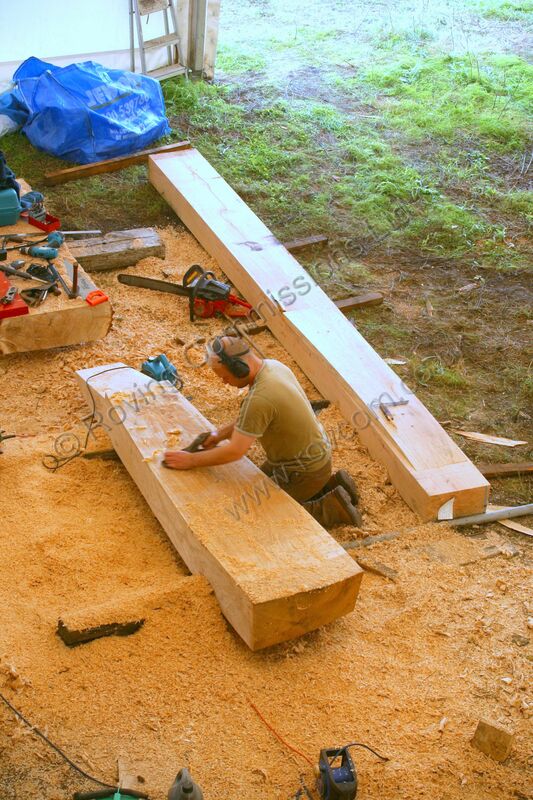 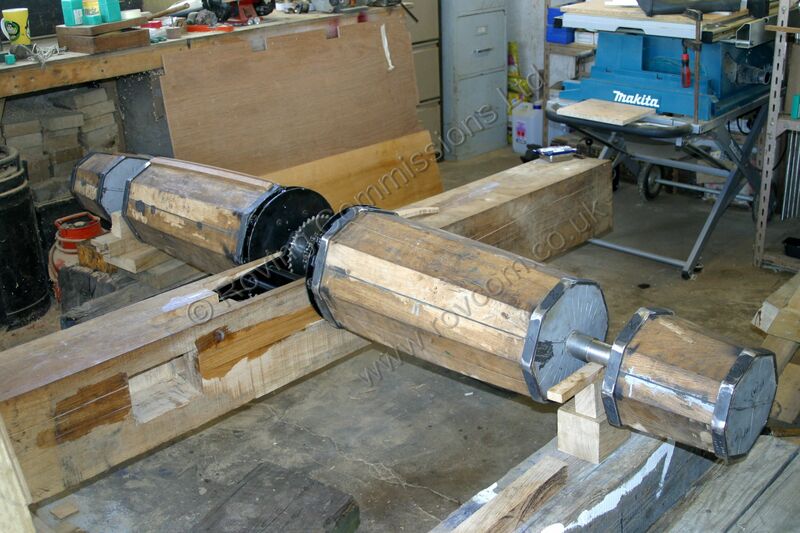 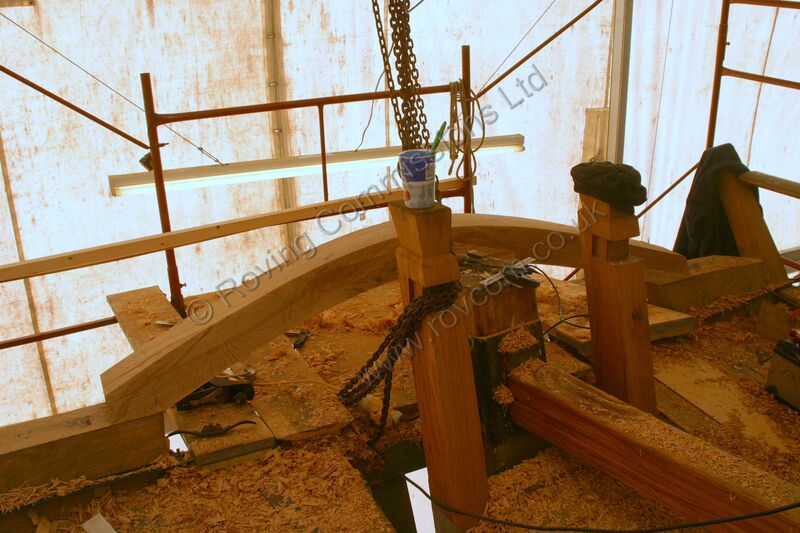 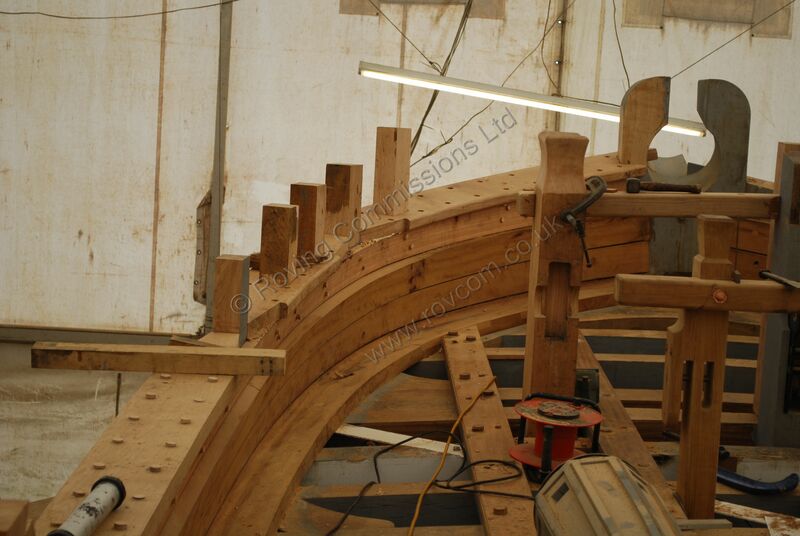 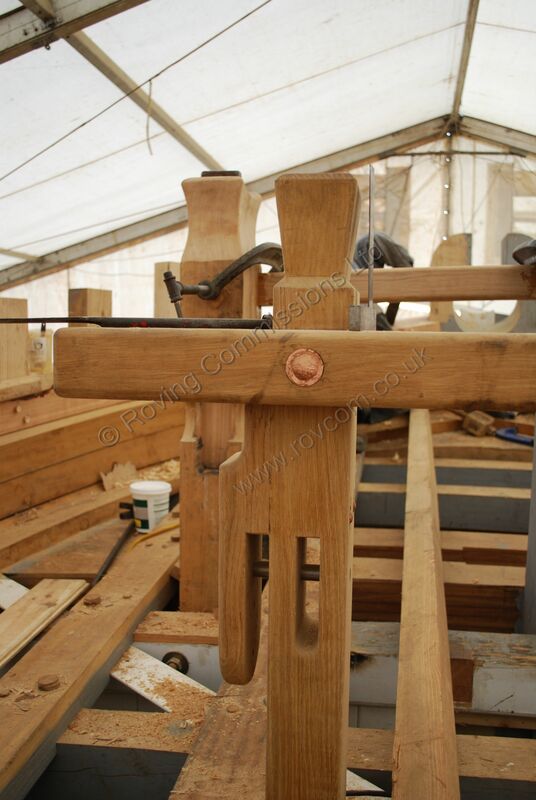 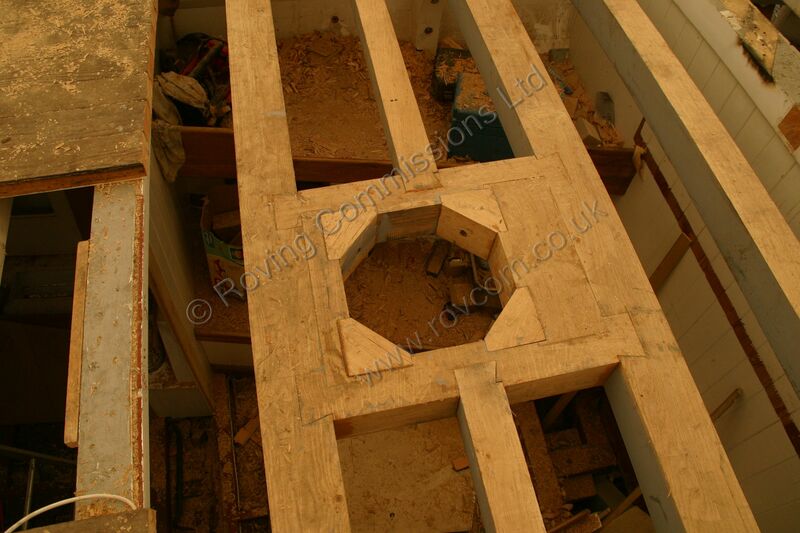 A hand-spike windlass will also be built together with a binnacle of the period. 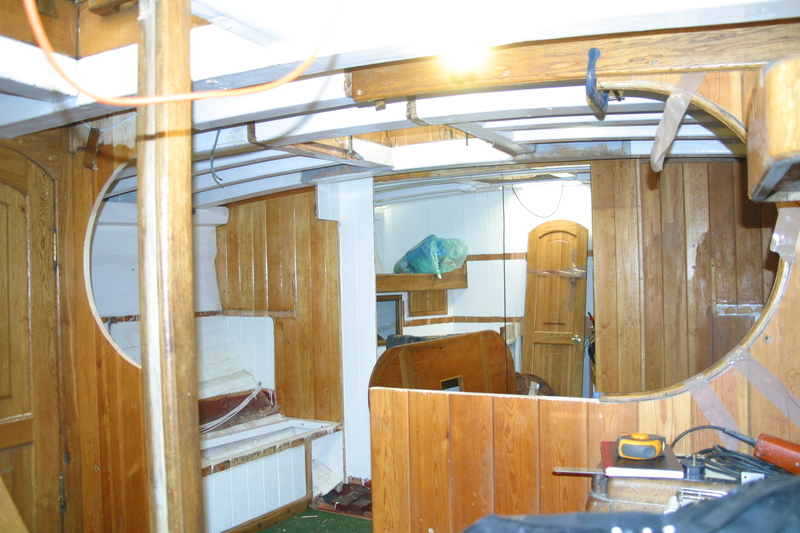 The accommodation is to be re-appointed to provide comfortable and pleasant surroundings for guests and passengers. 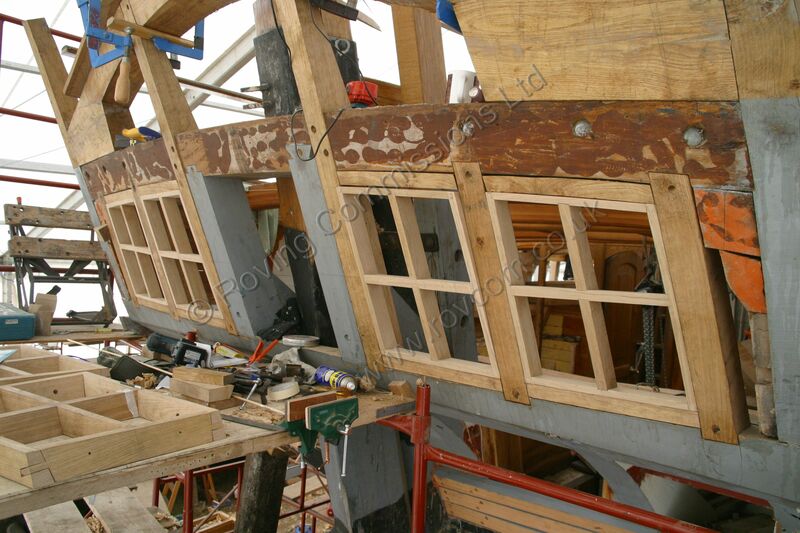 This will include the masters' state cabin, taking advantage of the stern windows, giving sea views and superb reflected light from the water. 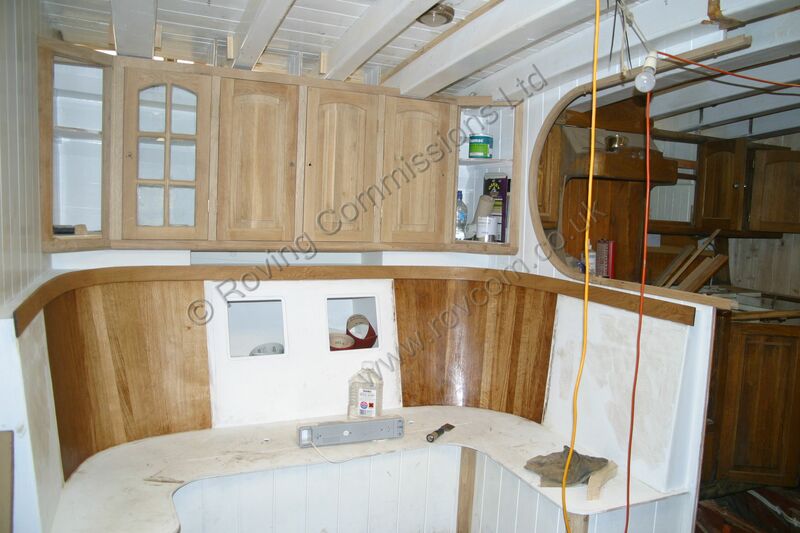 A new electrical system is also to be installed and the domestic services will be thoroughly overhauled. 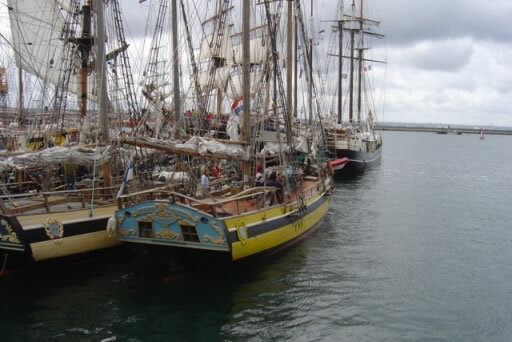 It is envisaged that "Elena Maria Barbara" will ultimately be used for passenger cruising, corporate events and film work.